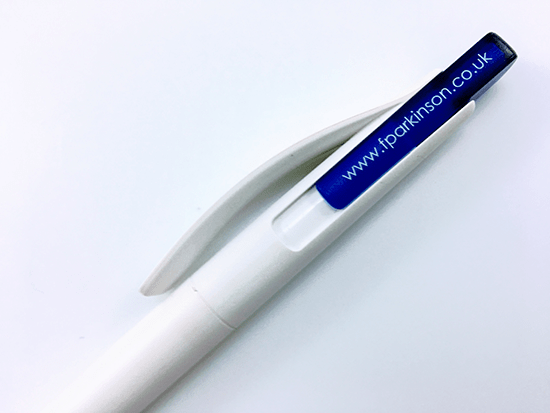 At Fylde Promotional Merchandise we love what we do and how we help our customers with their marketing campaigns. 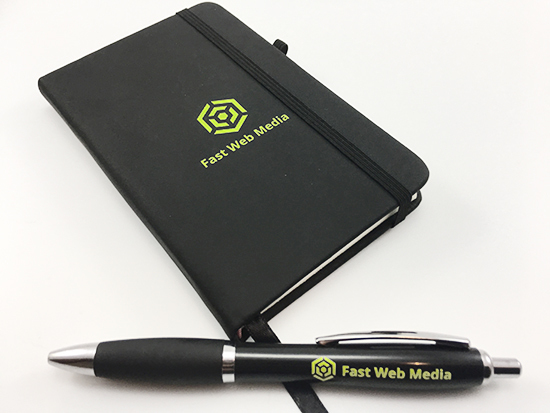 We believe that promotional gifts are an integral part of marketing, as they help your brand stay at the forefront of customers’ minds. 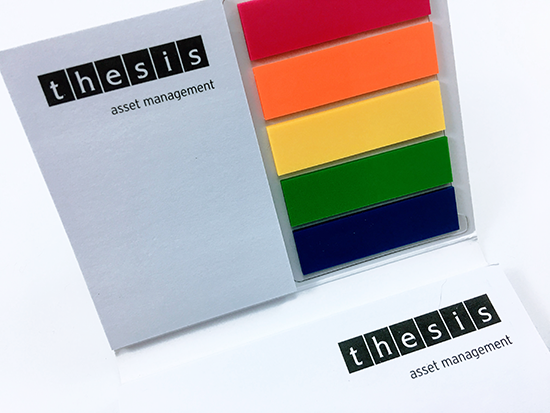 We’re incredibly proud of the work we do and we love taking an idea from a concept through to design and then the final printed promotional product… a product to be proud of! 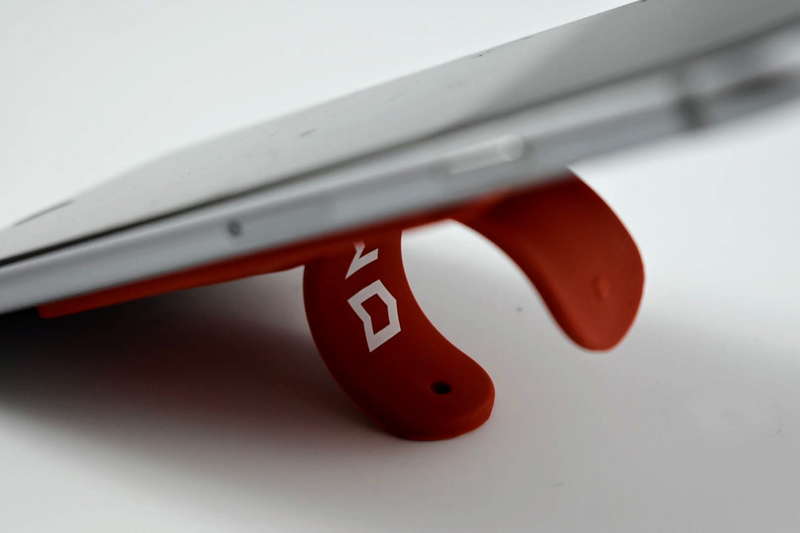 We’re with you every step of the way, keeping you informed on the progress of your order and being on hand to answer any queries you may have. 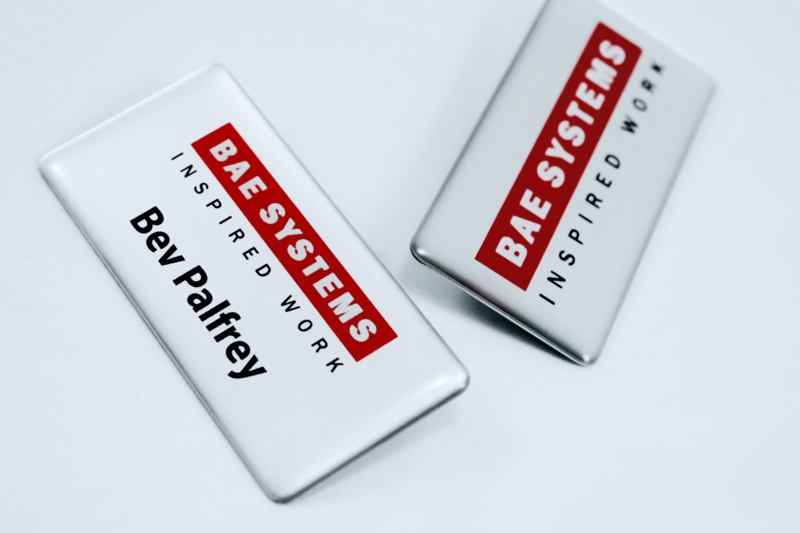 As you can tell, we love our work and we’re delighted to be able to share with you some of the work we’ve done over the years, for promotional products. 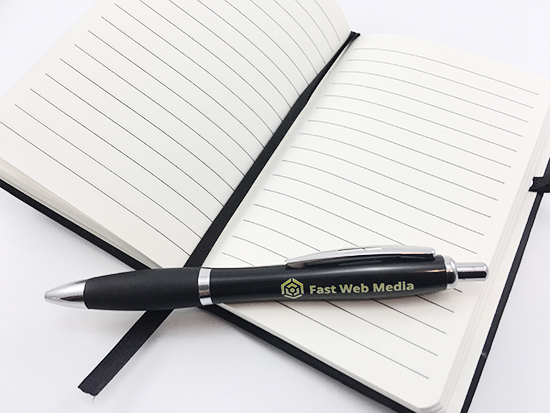 So, please feel free to browse through our promotional product portfolio and we hope it inspires you for your next order of promotional gifts. 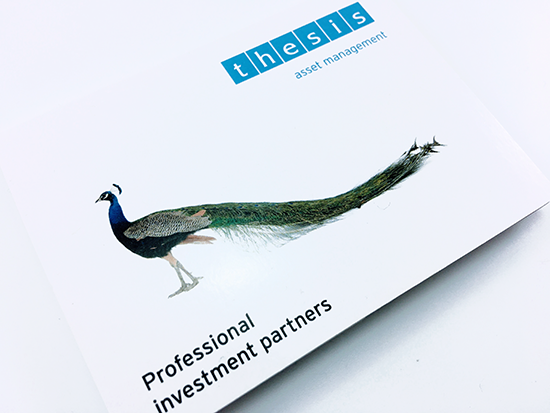 Below are some projects we have completed for clients in the past. 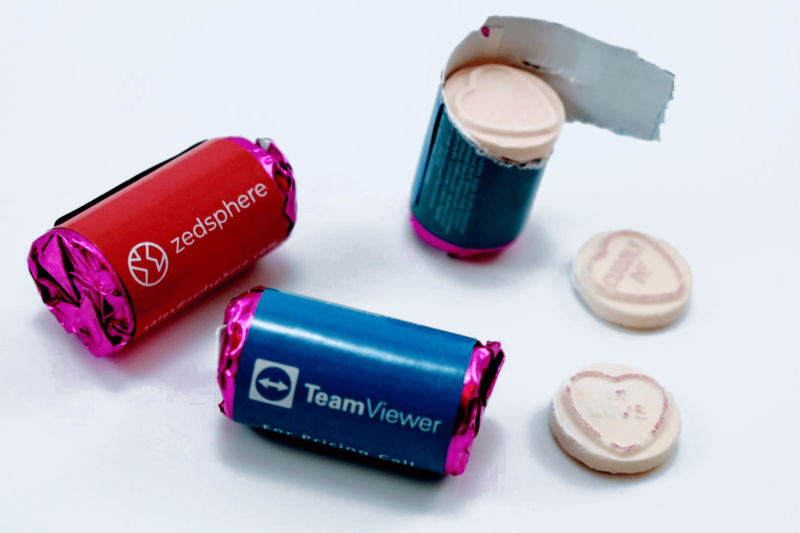 PROMOTIONAL LOVEHEART ROLL SWEETS, SUPPLIED BY FYLDE PROMOTIONAL MERCHANDISE. 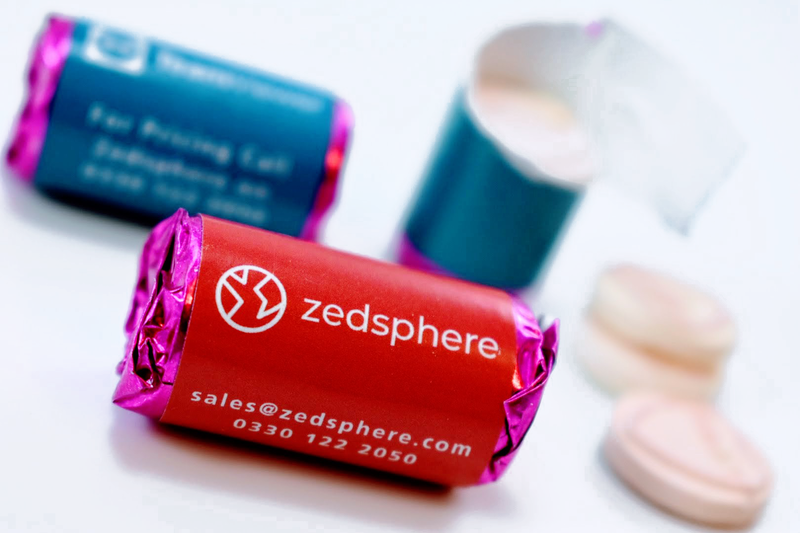 PRINTED AND DELIVERED FOR ZEDSPHERE LTD. 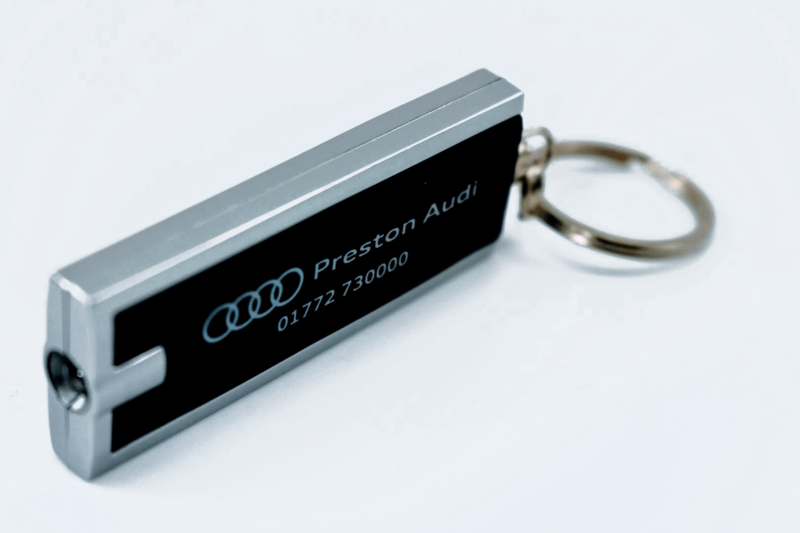 PROMOTIONAL DHAKA PLASTIC LED KEYRINGS, SUPPLIED BY FYLDE PROMOTIONAL MERCHANDISE. 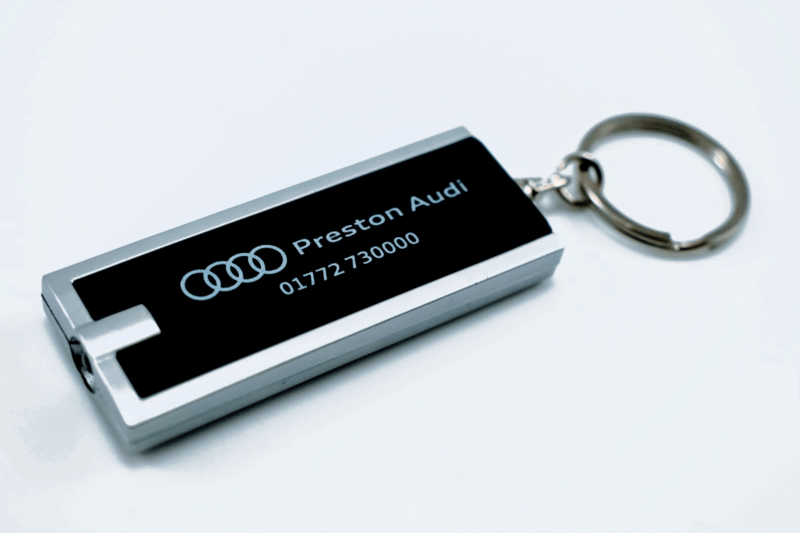 PRINTED AND DELIVERED FOR PRESTON AUDI. 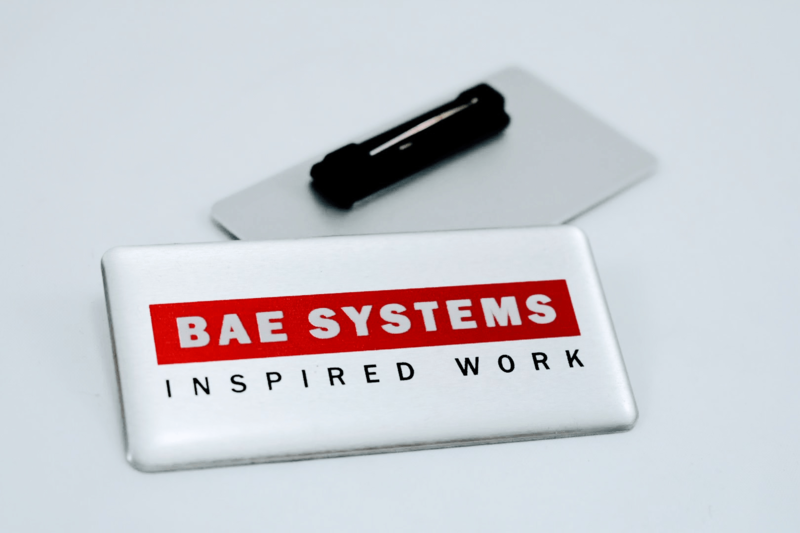 PROMOTIONAL BRITEMAT MOUSEMAT, SUPPLIED BY FYLDE PROMOTIONAL MERCHANDISE. 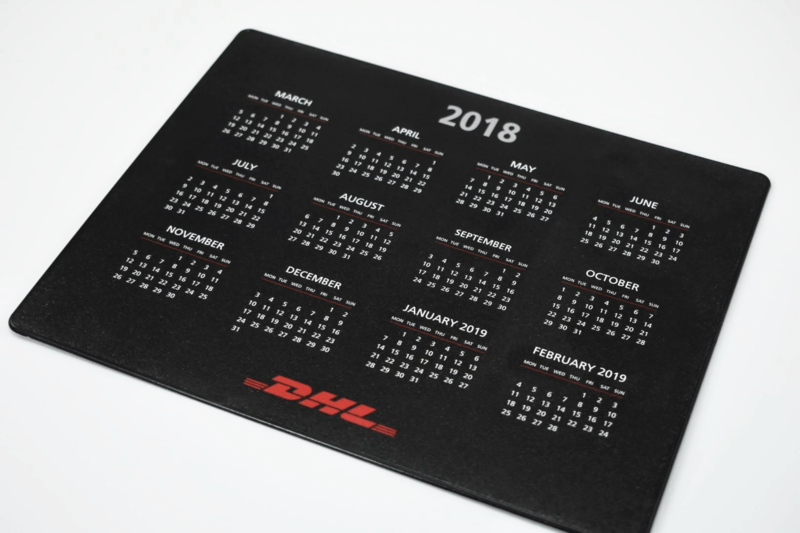 PRINTED AND DELIVERED FOR DHL. 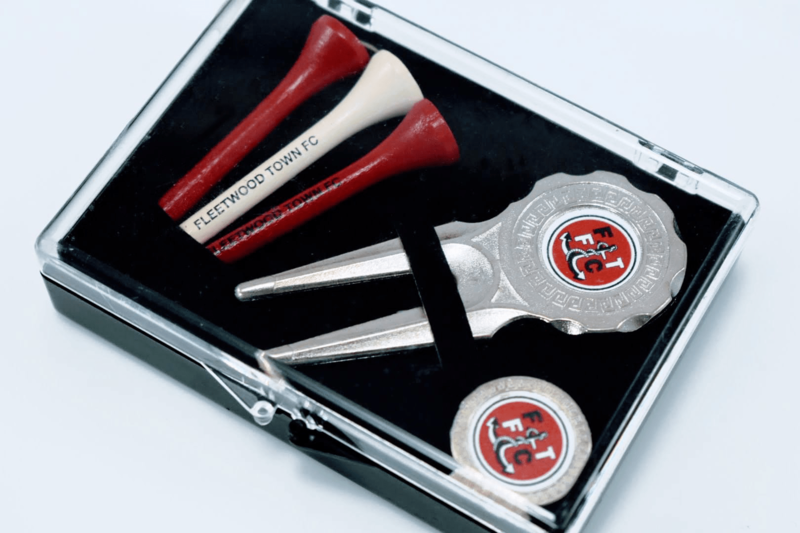 PROMOTIONAL GOLF TEE GIFT SET & HINGED BOXES, SUPPLIED BY FYLDE PROMOTIONAL MERCHANDISE. 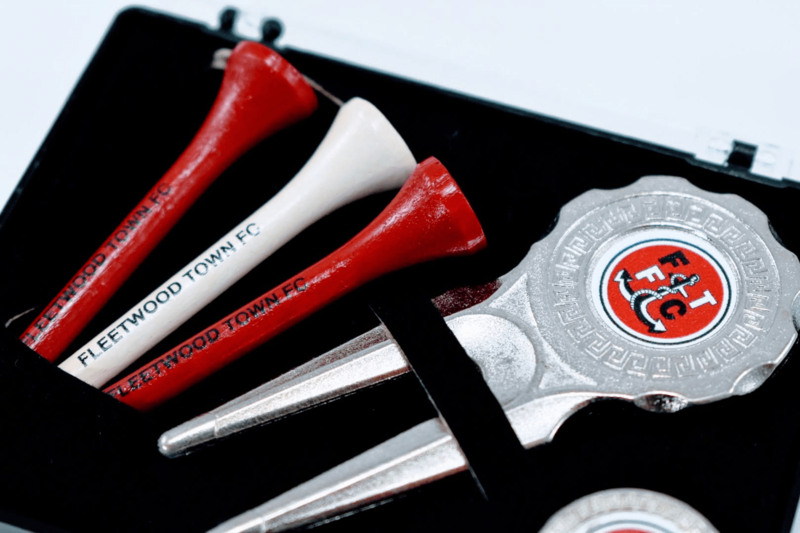 PRINTED AND DELIVERED TO FLEETWOOD FOOTBALL CLUB. 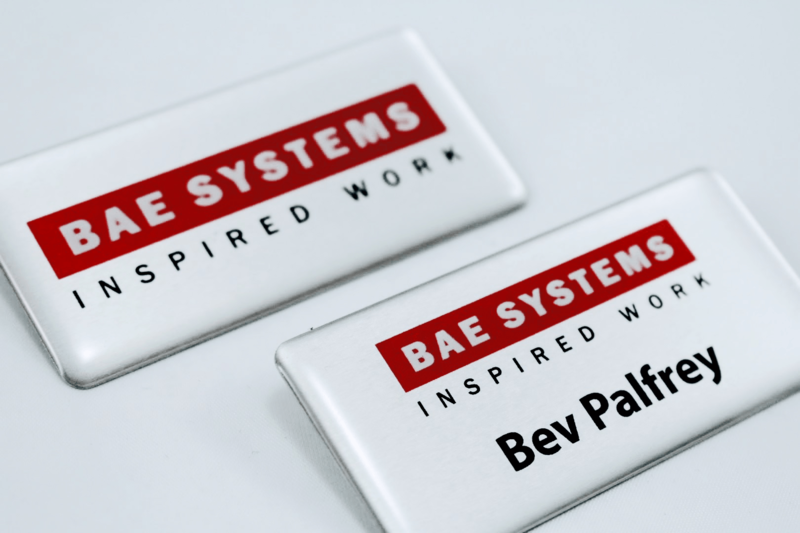 PROMOTIONAL DIGITALLY PRINTED METAL NAME BADGES, SUPPLIED BY FYLDE PROMOTIONAL MERCHANDISE. 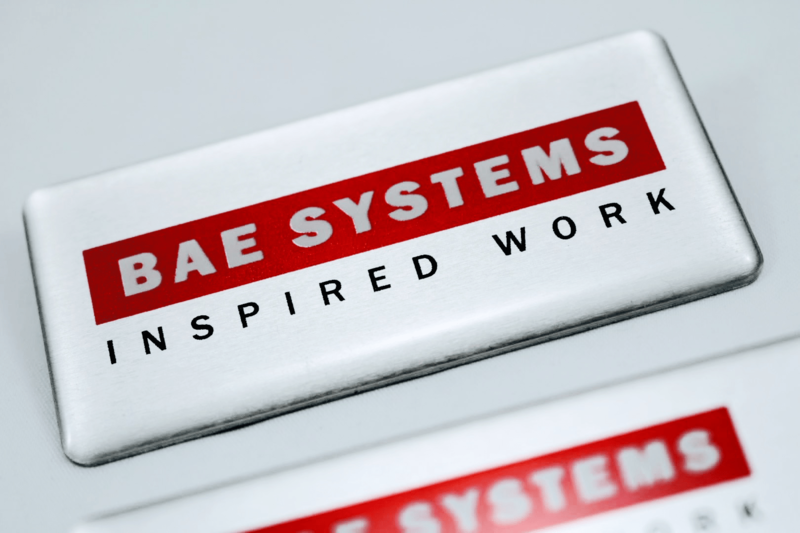 PRINTED AND DELIVERED TO BAE SYSTEMS. 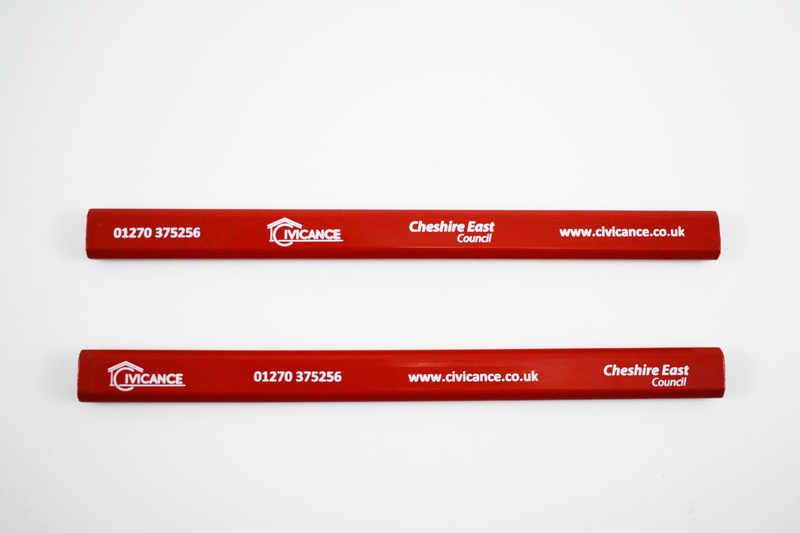 PROMOTIONAL CARPENTERS PENCILS, SUPPLIED BY FYLDE PROMOTIONAL MERCHANDISE. 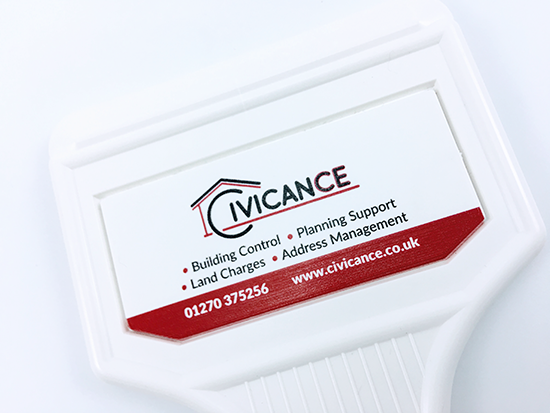 PRINTED AND DELIVERED TO CIVICANCE LTD. 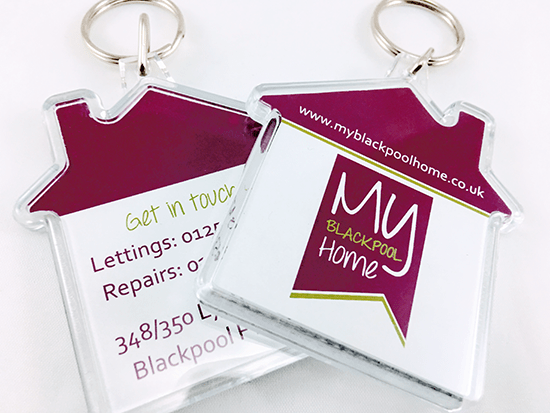 PROMOTIONAL EXECUTIVE METAL AND CANVAS KEYRINGS, SUPPLIED BY FYLDE PROMOTIONAL MERCHANDISE. 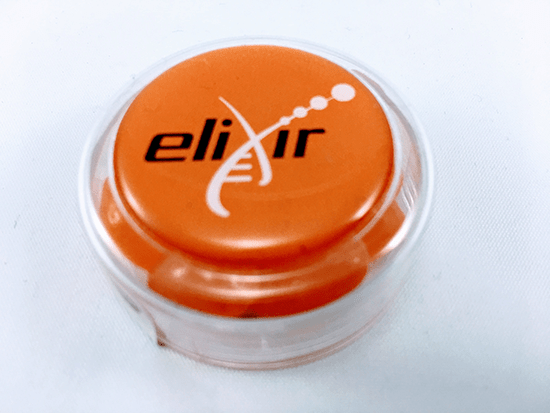 PRINTED AND DELIVERED TO ADAPTCAR. 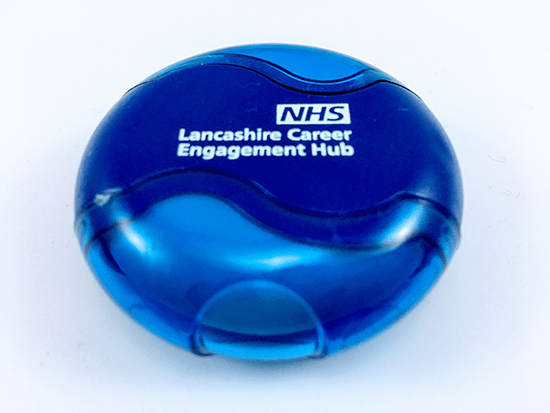 PROMOTIONAL PHONE POCKET AND STAND, SUPPLIED BY FYLDE PROMOTIONAL MERCHANDISE. 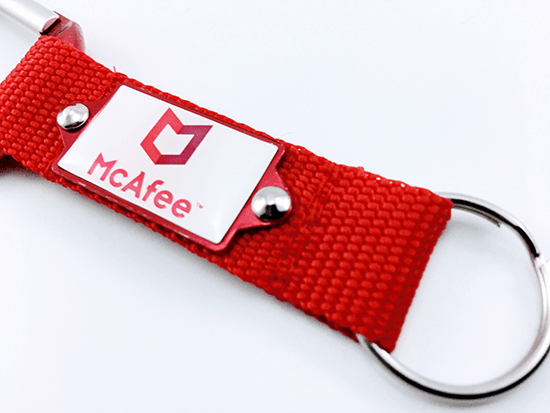 PRINTED AND DELIVERED FOR MCAFEE. 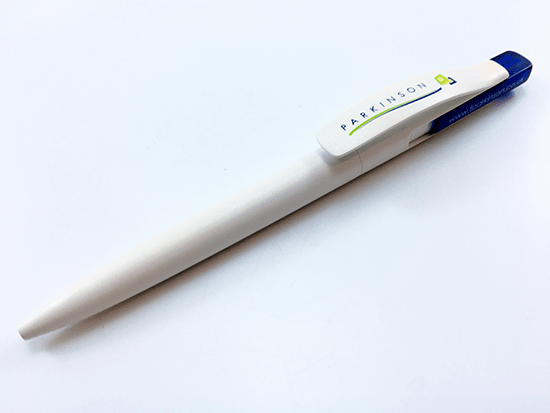 Promotional DS02 Push Retractable Ballpen, Supplied by Fylde Promotional Merchandise. 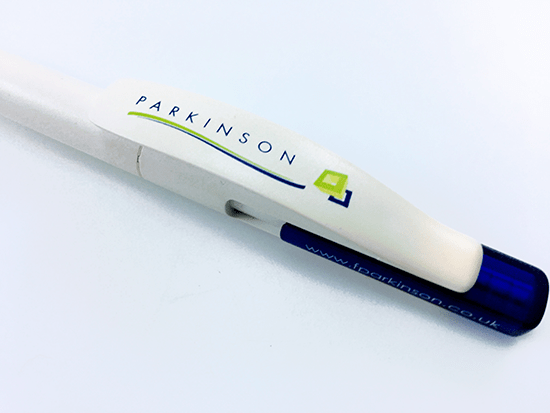 DS02 Push Retractable Ballpen, Printed and Delivered to F Parkinson Ltd.
We'll Ensure the Information we Place on Your Promotional DS02 Push Retractable Ballpens is the Perfect Match for Your Brand. 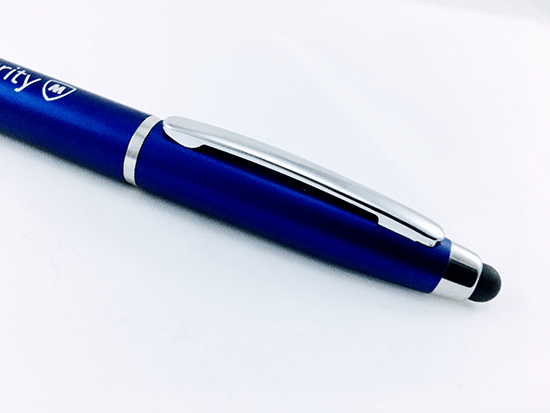 Ordering your Promotional DS02 Push Retractable Ballpens is Fast and Simple. Make a Start by Contacting us Now or Call us on 0330 043 18 08. 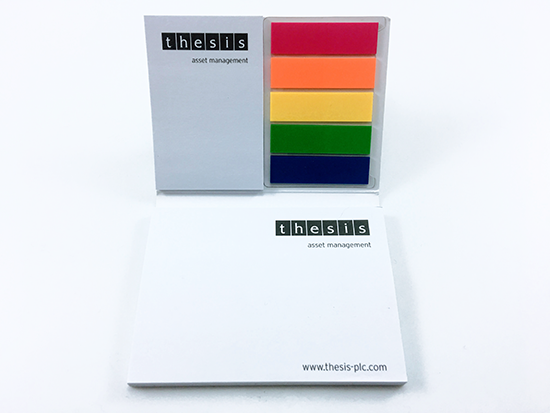 Promotional Q-Mat Mouse Mat And Coaster Presentation Pack, Supplied by Fylde Promotional Merchandise. 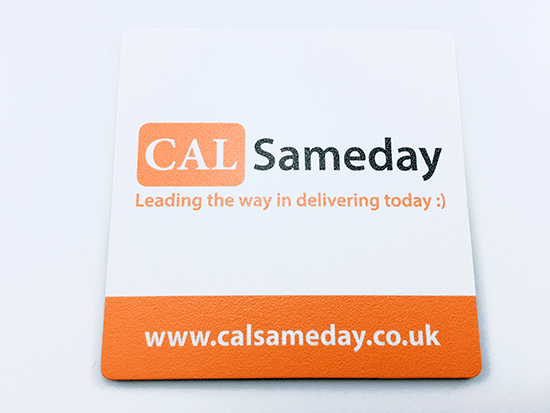 Q-Mat Mouse Mat And Coaster Presentation Pack, Printed and Delivered to CAL Sameday. 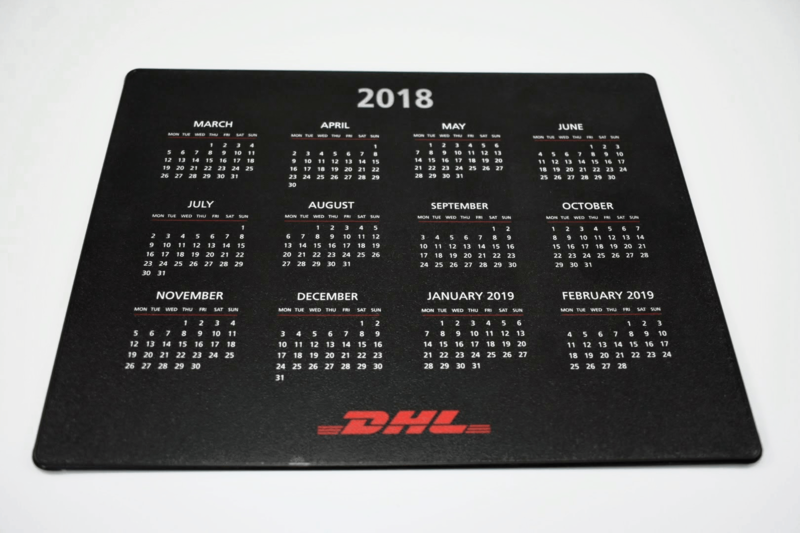 We'll Ensure the Information we Place on Your Promotional Q-Mat Mouse Mat And Coaster Presentation Pack is the Perfect Match for Your Brand. 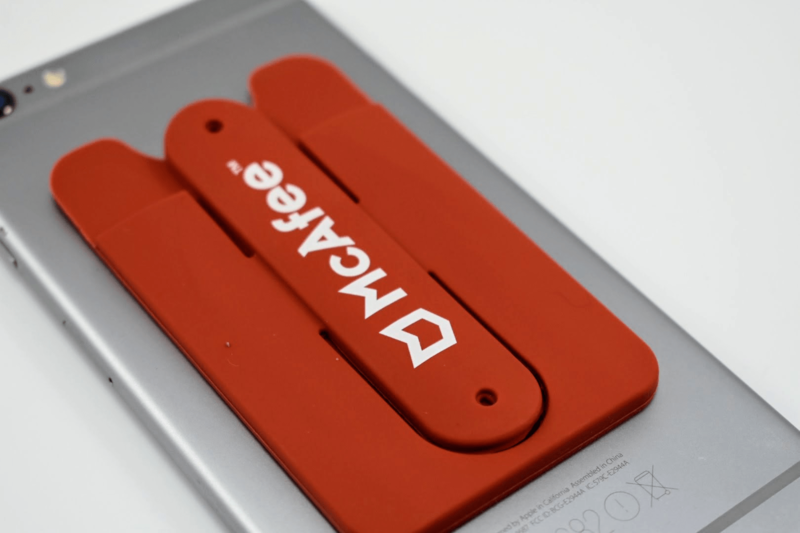 Ordering your Promotional Q-Mat Mouse Mat And Coaster Presentation Pack is Fast and Simple. Make a Start by Contacting us Now or Call us on 0330 043 18 08. 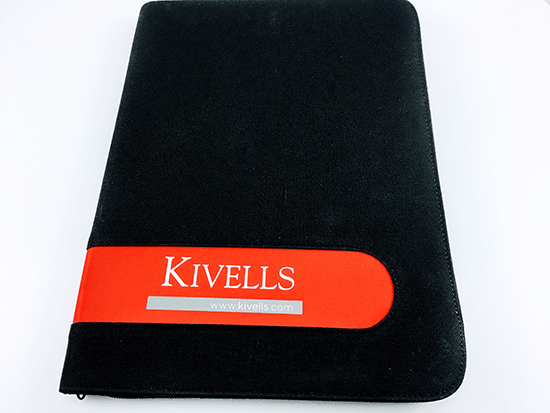 Promotional A5 Deskpads, Supplied by Fylde Promotional Merchandise. 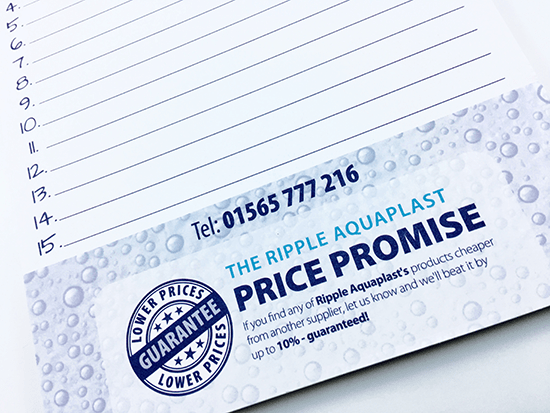 Branded A5 Deskpads, Printed and Delivered to Ripple Aquaplast. 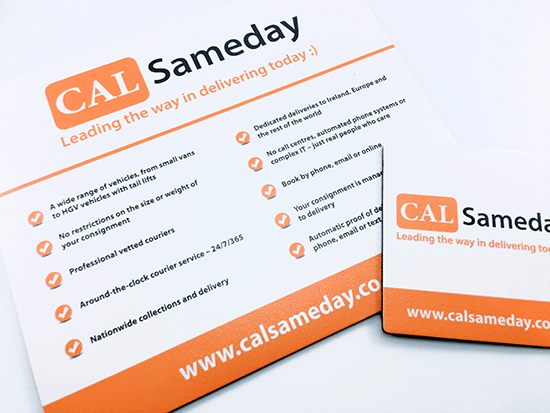 We'll Ensure the Information we Place on Your Promotional A5 Deskpads is the Perfect Match for Your Brand. 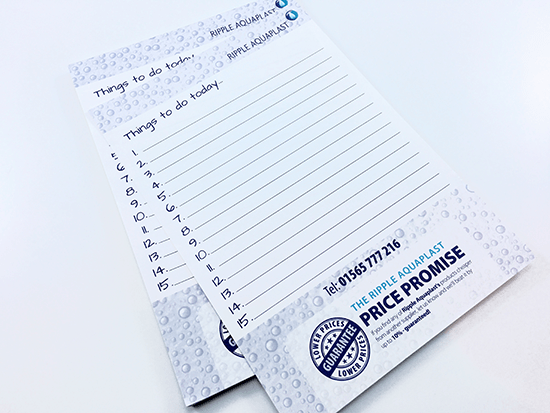 Ordering your Promotional A5 Deskpads is Fast and Simple. Make a Start by Contacting us Now or Call us on 0330 043 18 08. 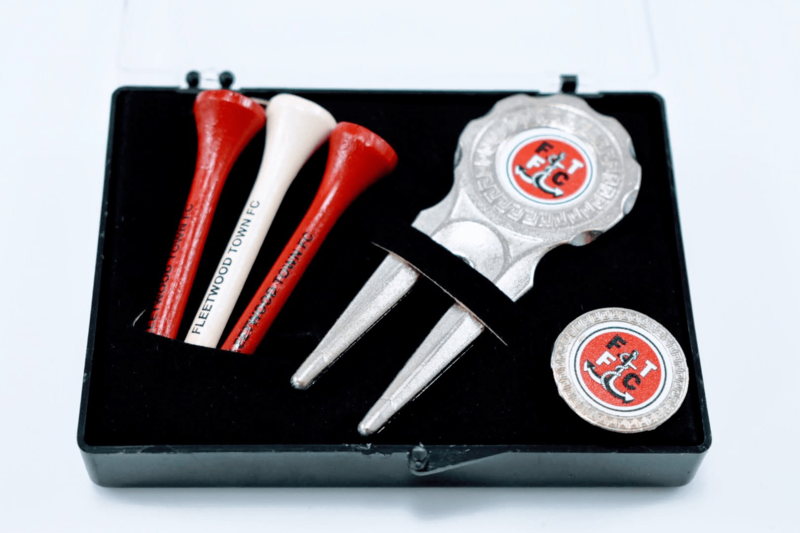 Promotional Soft Cover Combi Set, Supplied by Fylde Promotional Merchandise. 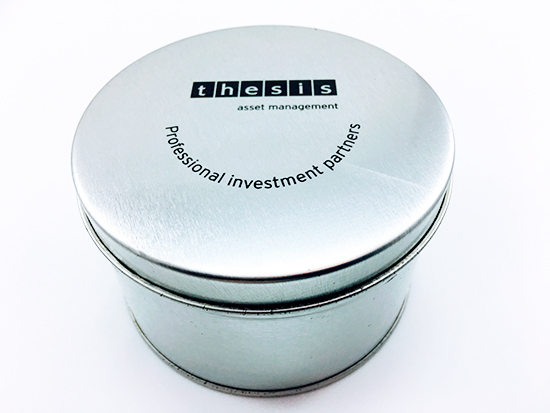 Branded Soft Cover Combi Set, Printed and Delivered to Thesis Asset Management Plc. 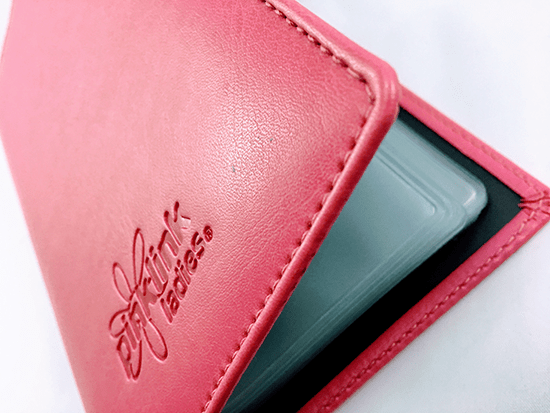 We'll Ensure the Information we Place on Your Promotional Soft Cover Combi Sets is the Perfect Match for Your Brand. 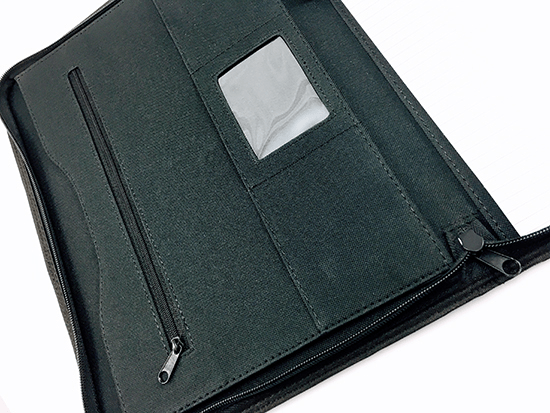 Ordering your Promotional Soft Cover Combi Sets is Fast and Simple. 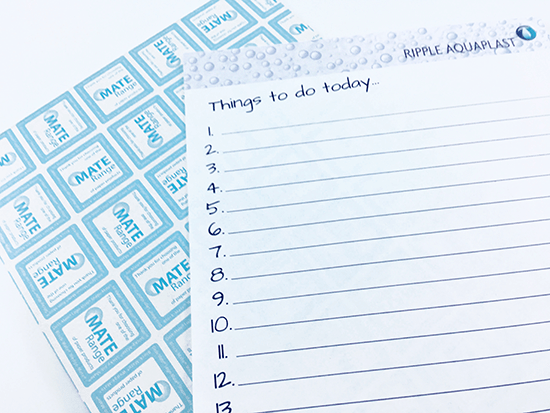 Make a Start by Contacting us Now or Call us on 0330 043 18 08. 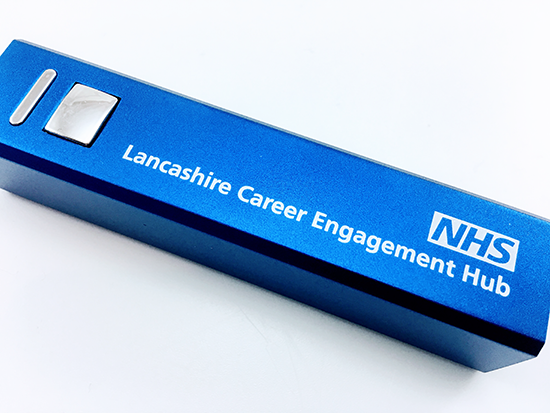 Promotional Power Banks, Supplied by Fylde Promotional Merchandise. 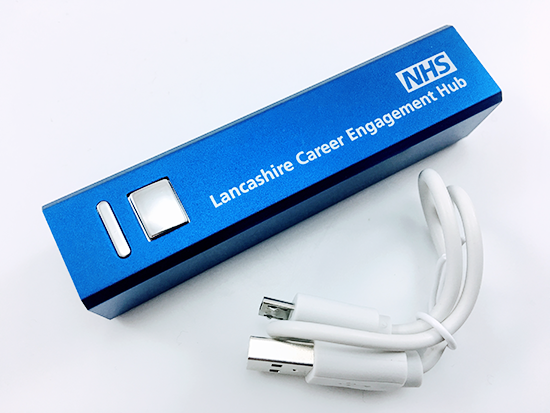 Branded Power Banks, Printed and Delivered For East Lancashire Hospitals NHS Trust. 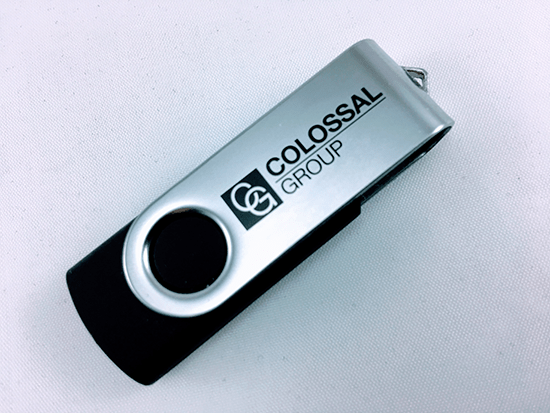 We'll Ensure the Information we Place on Your Promotional Power Banks is the Perfect Match for Your Brand. 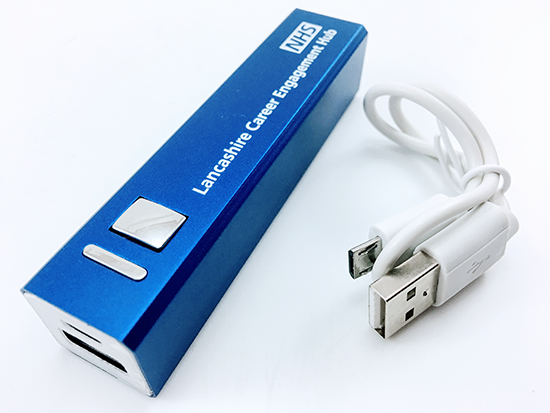 Ordering your Promotional Power Banks is Fast and Simple. Make a Start by Contacting us Now or Call us on 0330 043 18 08. 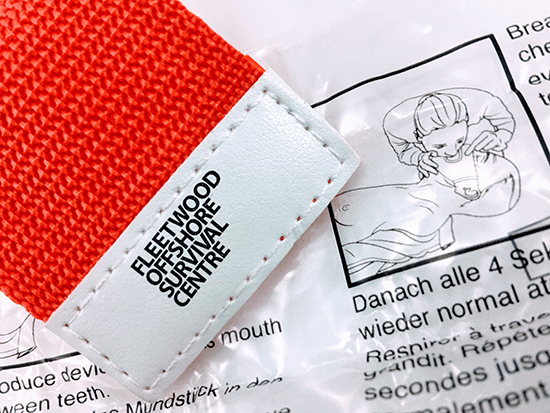 Promotional Silicon Wristbands, Supplied by Fylde Promotional Merchandise. 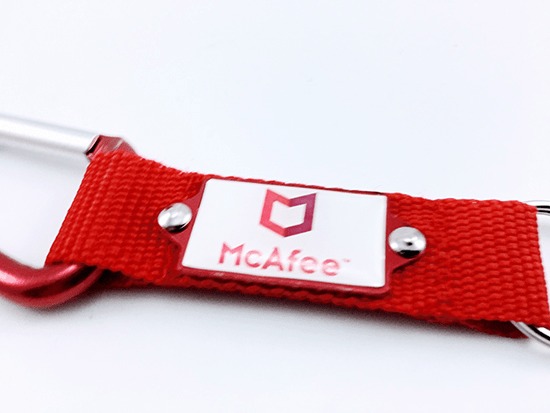 Branded Silicon Wristband, Printed and Delivered for Webster Primary School. 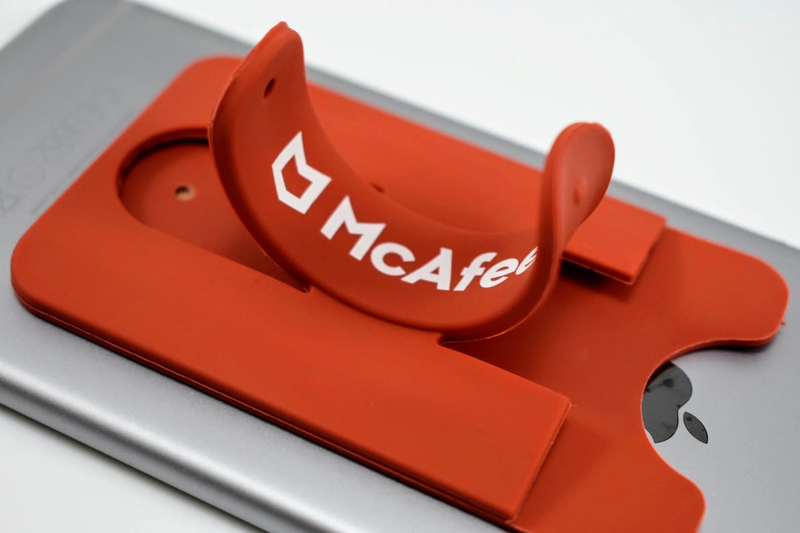 We'll Ensure the Information we Place on Your Promotional Silicon Wristband is the Perfect Match for Your Brand. 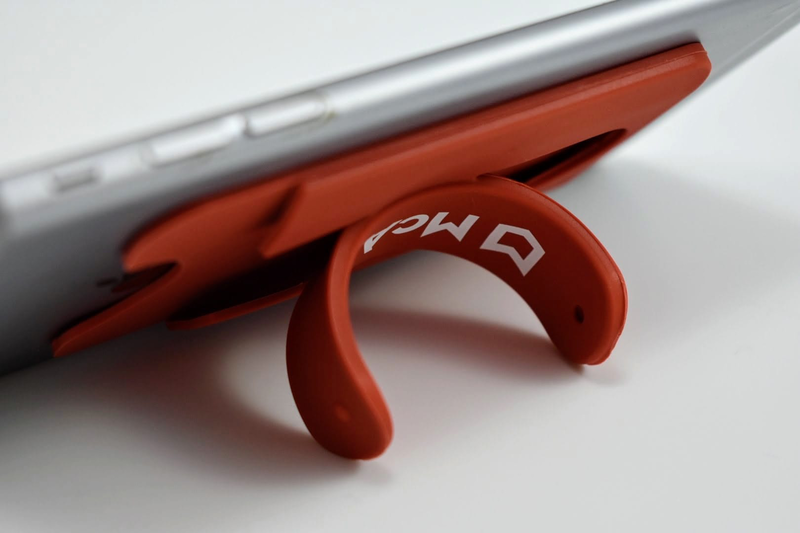 Ordering your Promotional Silicon Wristband is Fast and Simple. Make a Start by Contacting us Now or Call us on 0330 043 18 08. 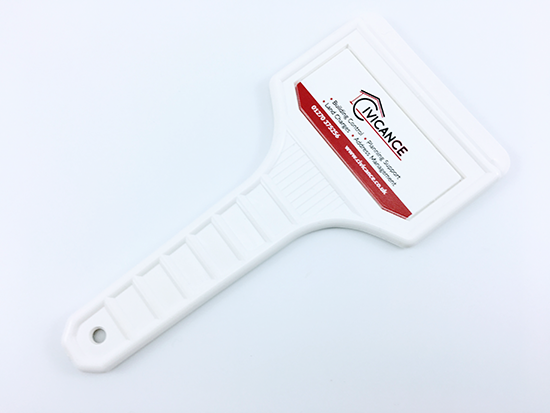 Promotional Classic Ice Scraper, Supplied by Fylde Promotional Merchandise. 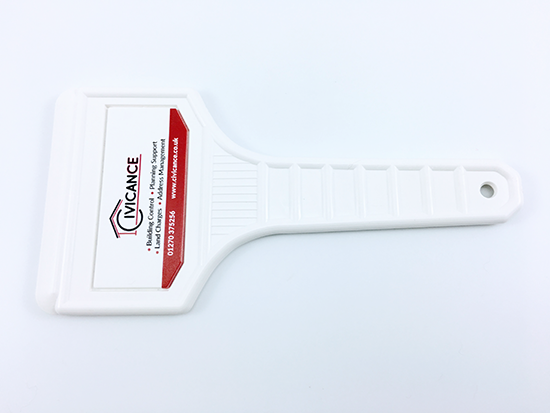 Branded Classic Ice Scraper, Printed and Delivered for Civicance Ltd.
We'll Ensure the Information we Place on Your Promotional Classic Ice Scrapers is the Perfect Match for Your Brand. 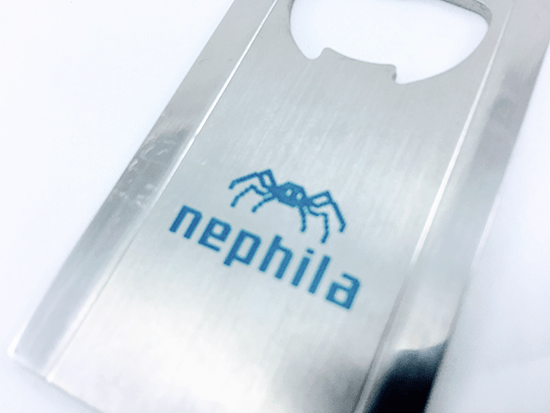 Ordering your Promotional Classic Ice Scrapers is Fast and Simple. 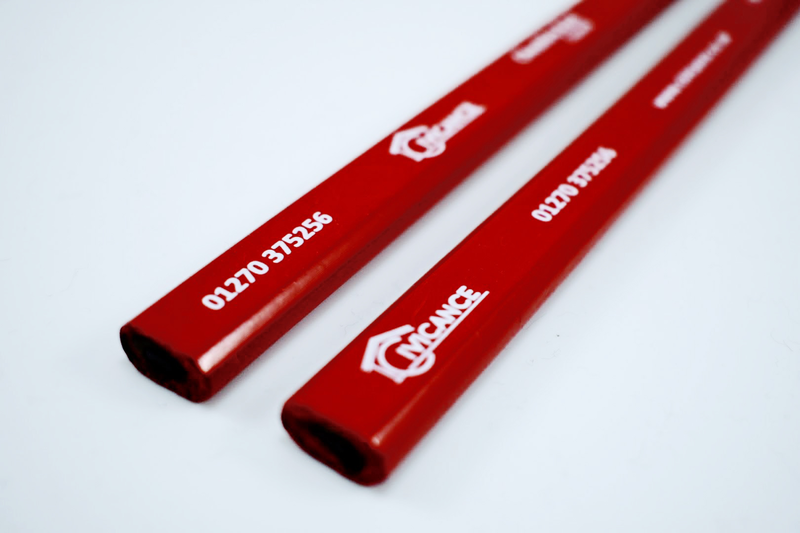 Make a Start by Contacting us Now or Call us on 0330 043 18 08. 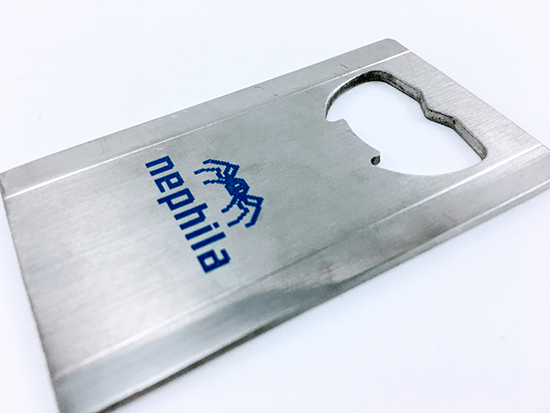 Promotional Slim Bottle Opener, Supplied by Fylde Promotional Merchandise. 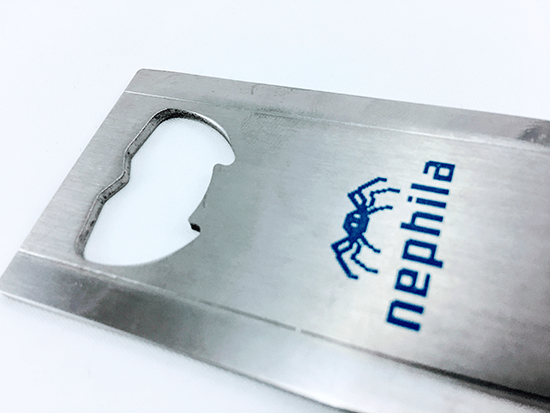 Branded Slim Bottle Opener, Printed and Delivered for Nephila Ltd.
We'll Ensure the Information we Place on Your Promotional Slim Bottle Openers is the Perfect Match for Your Brand. 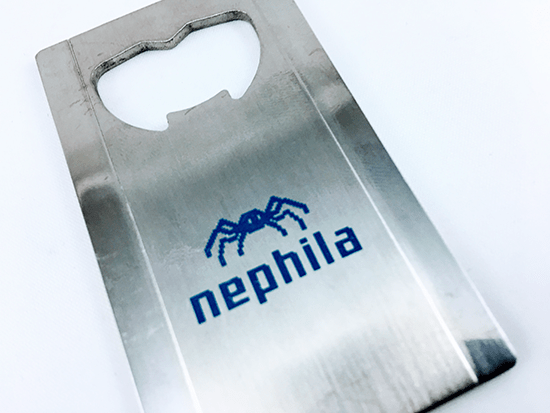 Ordering your Promotional Slim Bottle Opener is Fast and Simple. 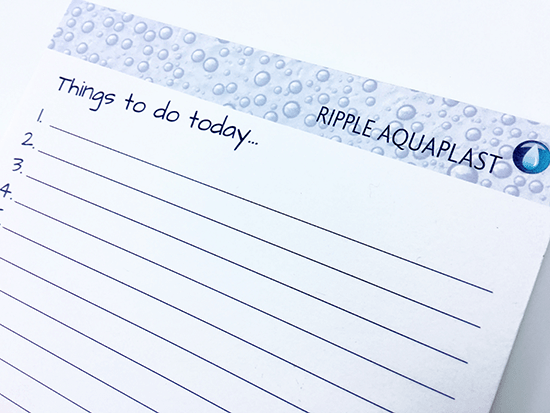 Make a Start by Contacting us Now or Call us on 0330 043 18 08. 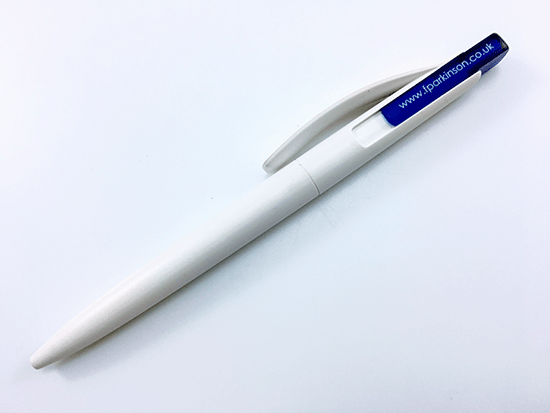 Promotional Agent Stylus Pens, Supplied by Fylde Promotional Merchandise. 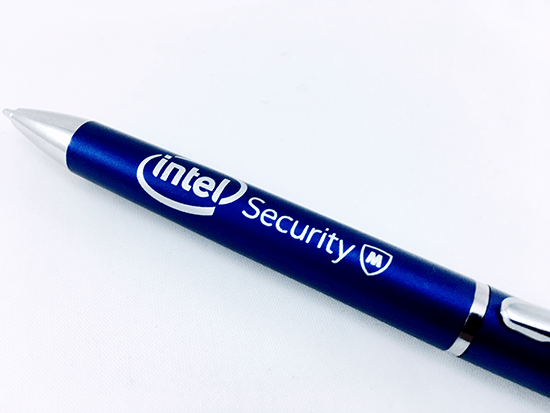 Branded Agent Stylus Pens, Printed and Delivered for Channel Assist Limited. 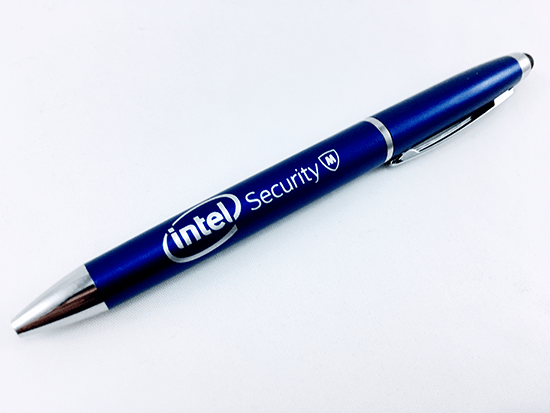 We'll Ensure the Information we Place on Your Promotional Agent Stylus Pens is the Perfect Match for Your Brand. 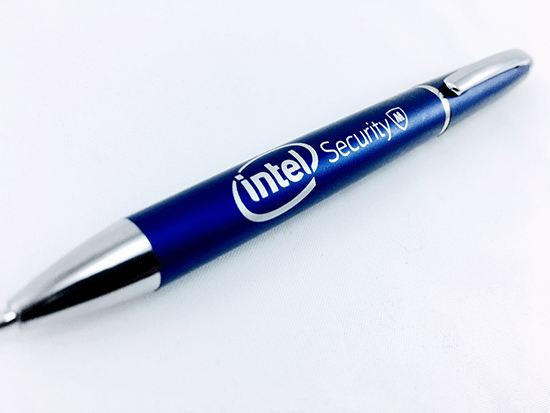 Ordering your Agent Stylus Pens is Fast and Simple. Make a Start by Contacting us Now or Call us on 0330 043 18 08. 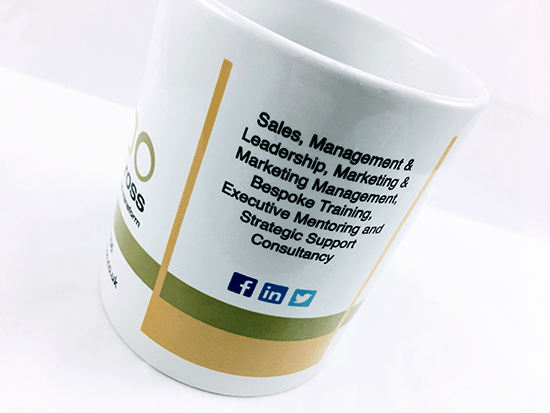 Promotional Vienna Mugs, Supplied by Fylde Promotional Merchandise. 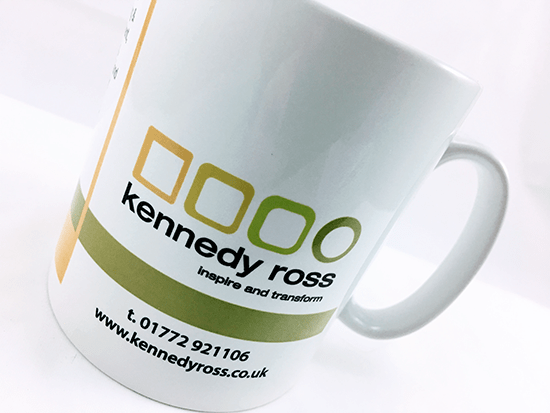 Branded Vienna Mugs, Printed and Delivered for Kennedy Ross Consulting. 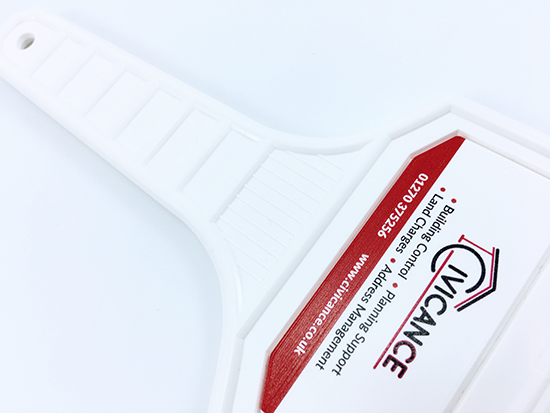 We'll Ensure the Information we Place on Your Promotional Vienna Mugs is the Perfect Match for Your Brand. 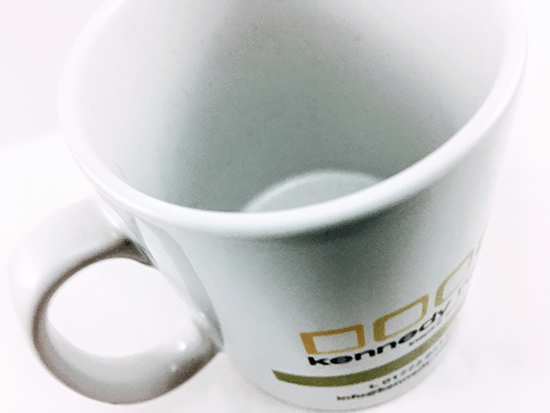 Ordering your Vienna Mugs is Fast and Simple. 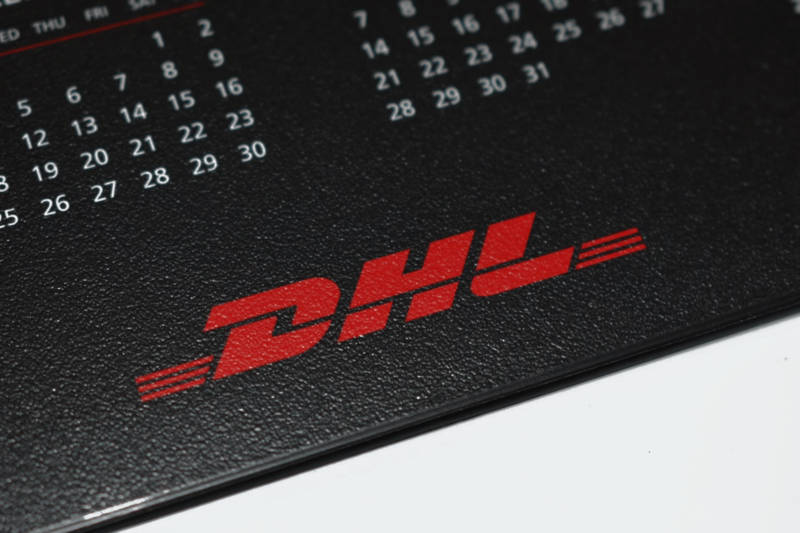 Make a Start by Contacting us Now or Call us on 0330 043 18 08. 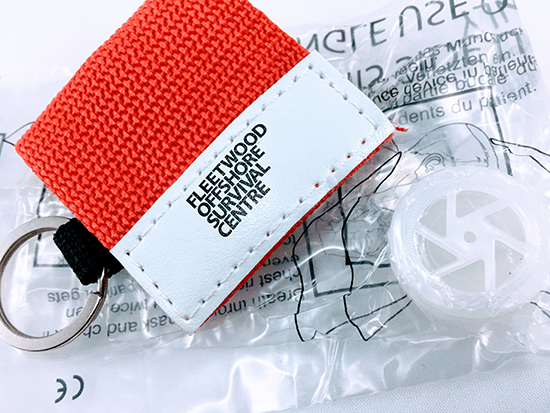 Promotional Carabiner Strap Keyrings, Supplied by Fylde Promotional Merchandise. 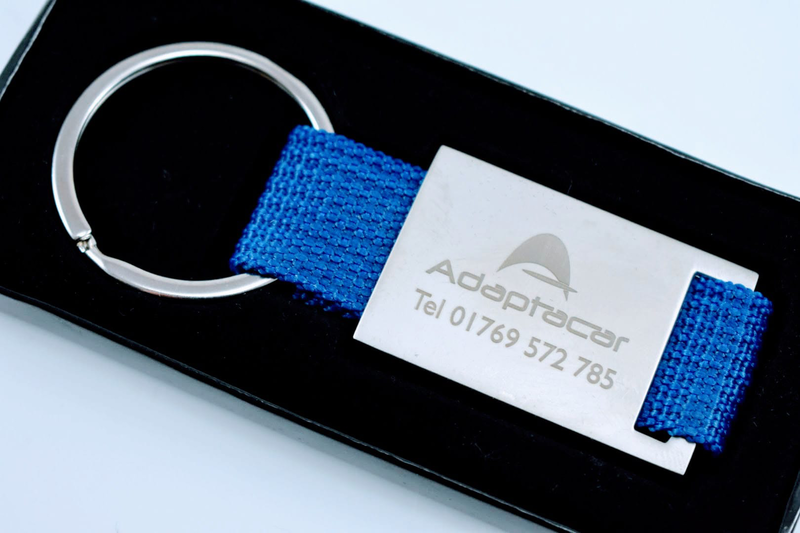 Branded Carabiner Strap Keyrings, Printed and Delivered for Channel Assist Limited. 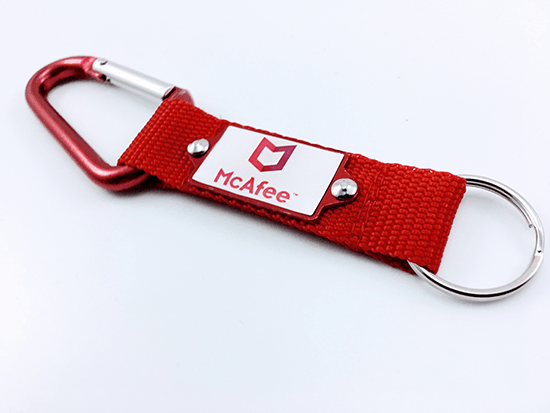 We'll Ensure the Information we Place on Your Promotional Carabiner Strap Keyrings is the Perfect Match for Your Brand. 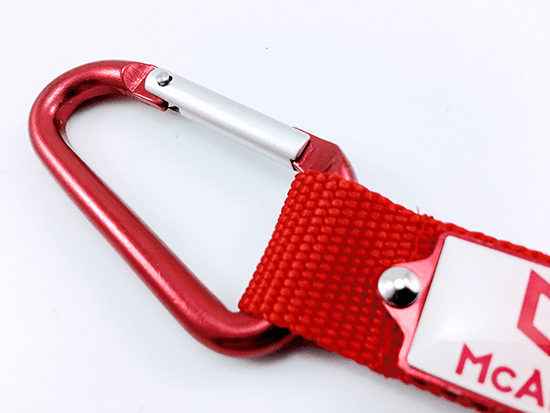 Ordering your Carabiner Strap Keyrings is Fast and Simple. Make a Start by Contacting us Now or Call us on 0330 043 18 08. 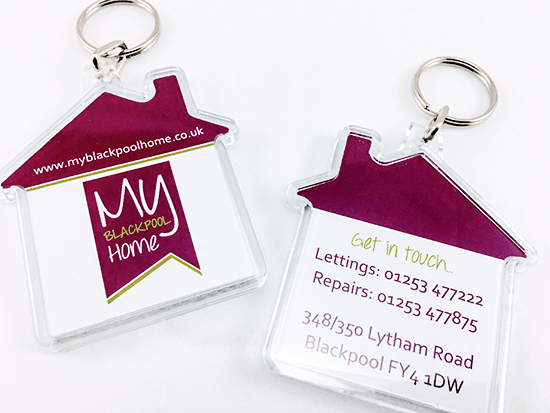 Promotional House Shaped Keyrings, Supplied by Fylde Promotional Merchandise. 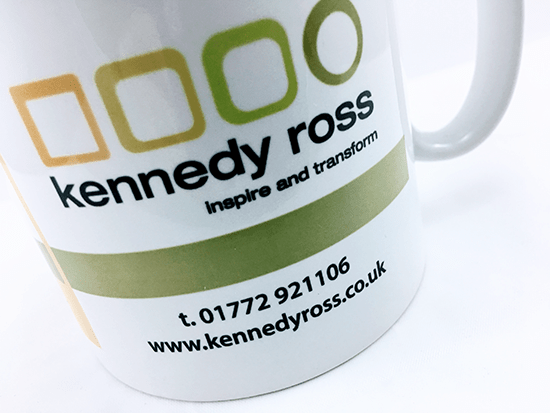 Branded House Shaped Keyrings, Printed and Delivered for Kennedy Ross Consulting. 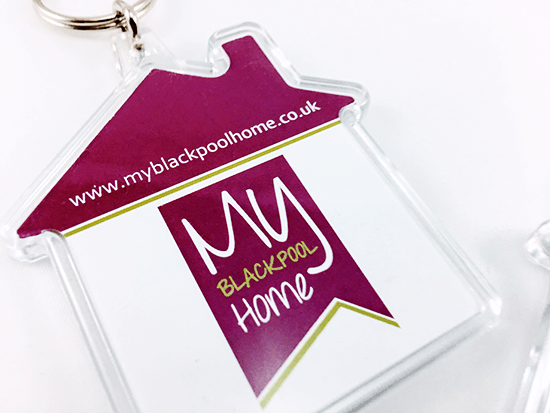 We'll Ensure the Information we Place on Your Promotional House Shaped Keyrings is the Perfect Match for Your Brand. 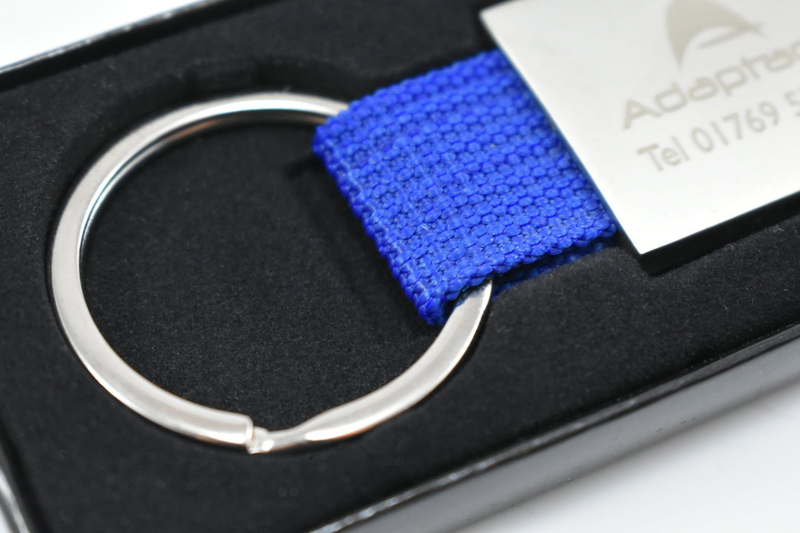 Ordering your Promotional Shaped Keyrings is Fast and Simple. Make a Start by Contacting us Now or Call us on 0330 043 18 08. 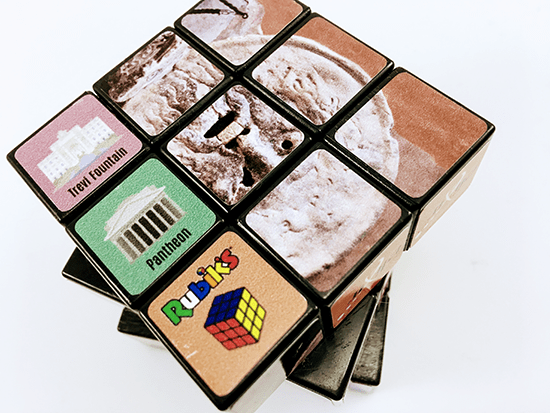 Promotional Carabiner Rubik’s Cubes, Supplied by Fylde Promotional Merchandise. 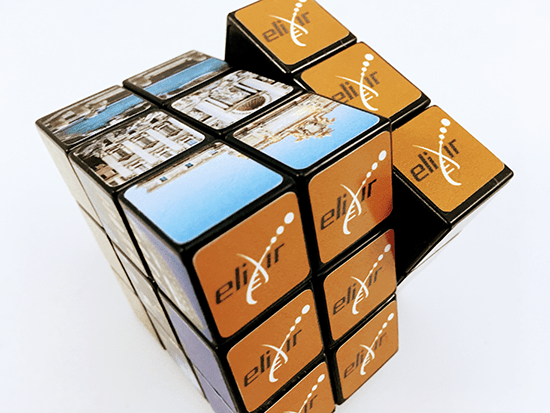 Branded Rubik’s Cubes, Printed and Delivered for Elixir Europe. 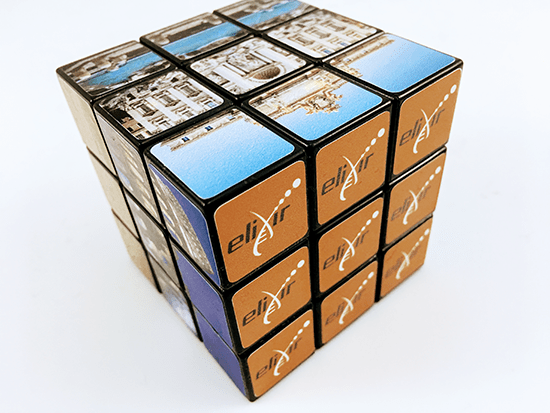 We'll Ensure the Information we Place on Your Promotional Rubik’s Cubes is the Perfect Match for Your Brand. 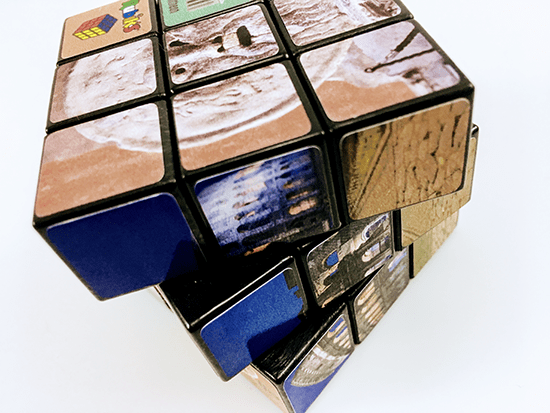 Ordering your Rubik’s Cubes is Fast and Simple. 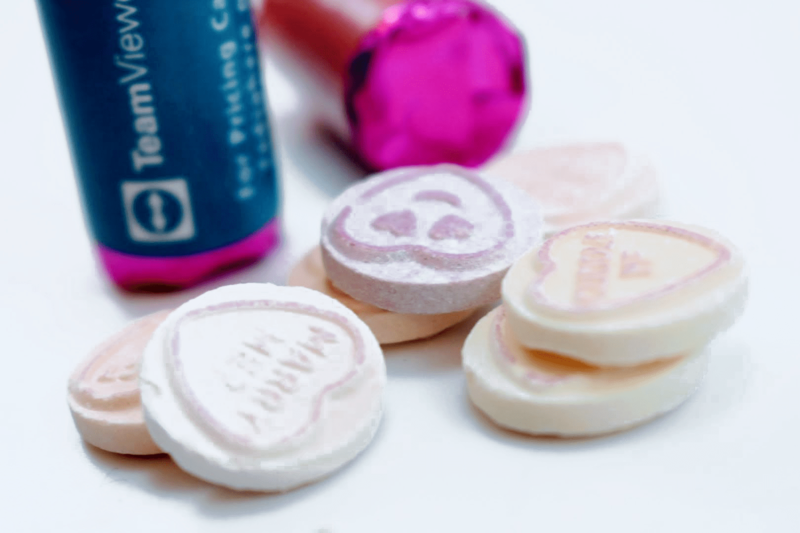 Make a Start by Contacting us Now or Call us on 0330 043 18 08. 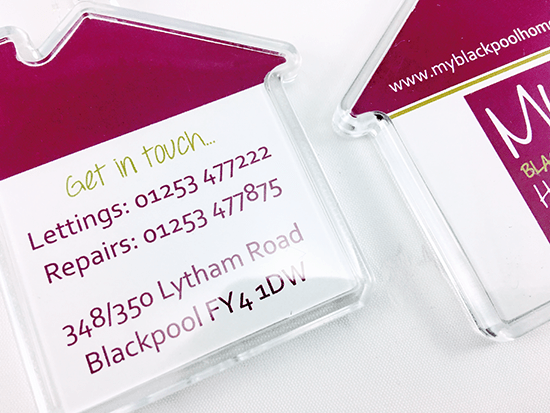 Promotional A4 Microfibre Folders, Supplied by Fylde Promotional Merchandise. 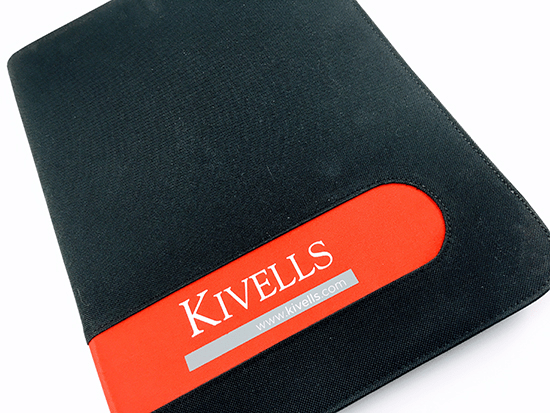 Branded A4 Microfibre Folders, Printed and Delivered for Kivells Estate Agents. 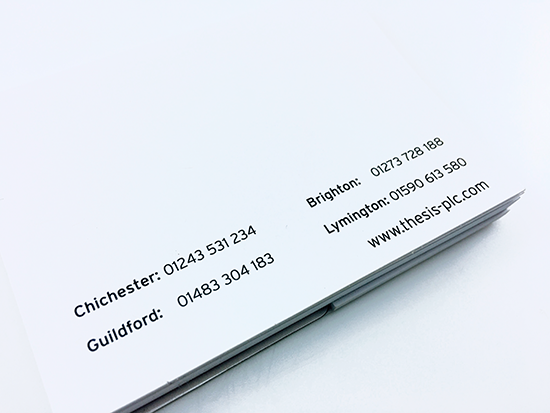 We'll Ensure the Information we Place on Your Promotional A4 Microfibre Folders is the Perfect Match for Your Brand. 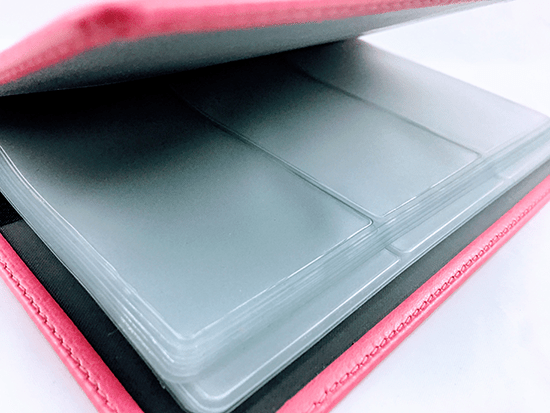 Ordering your A4 Microfibre Folders is Fast and Simple. Make a Start by Contacting us Now or Call us on 0330 043 18 08. 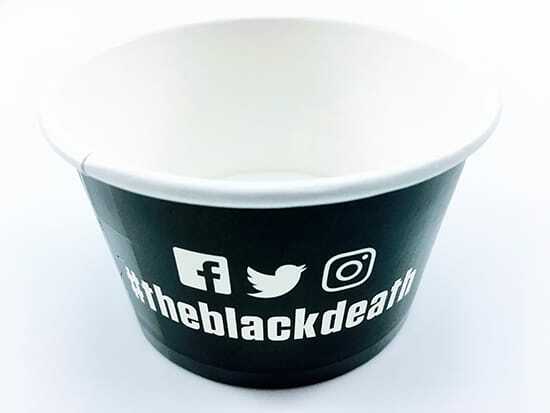 Promotional 5oz Ice Cream Pots, Supplied by Fylde Promotional Merchandise. 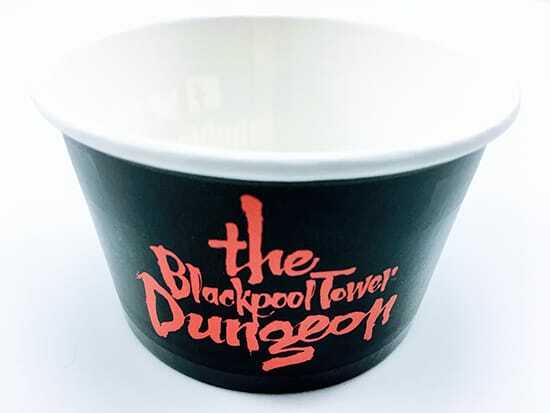 Branded 5oz Ice Cream Pots Printed and Delivered for Blackpool Tower Dungeon. 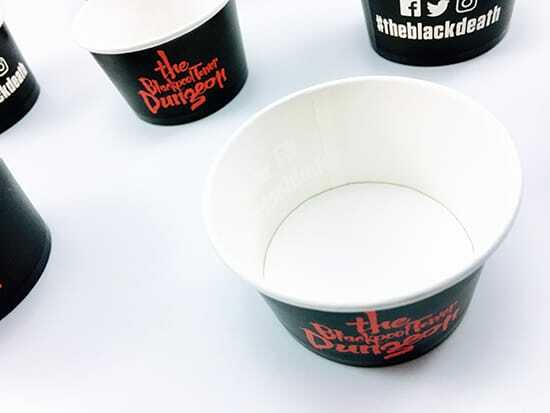 We'll Ensure the Information we Place on Your Promotional Ice Cream Pots is the Perfect Match for Your Brand. 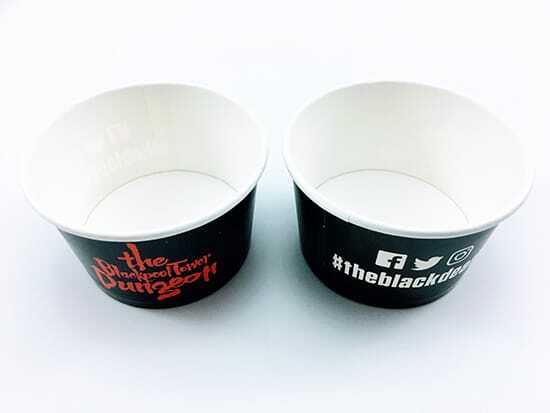 Ordering your Promotional Ice Cream Pots is Fast and Simple. 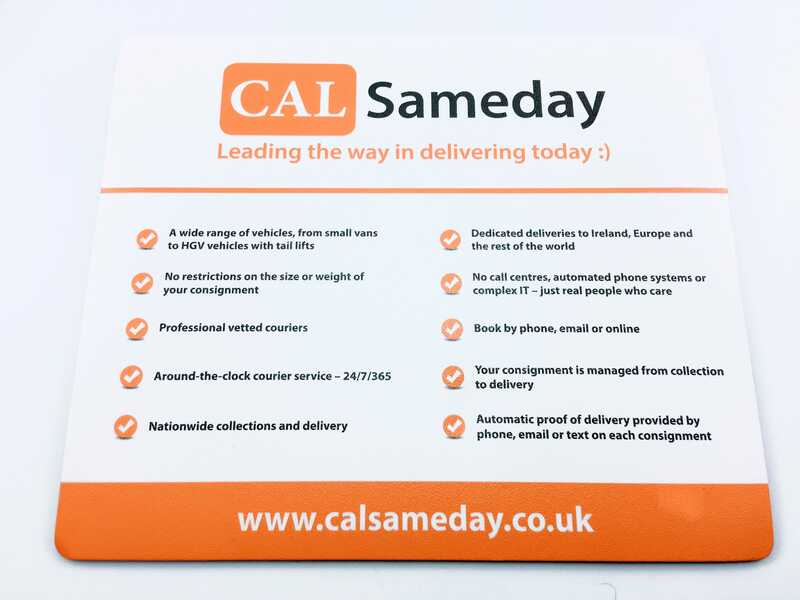 Make a Start by Contacting us Now or Call us on 0330 043 18 08. 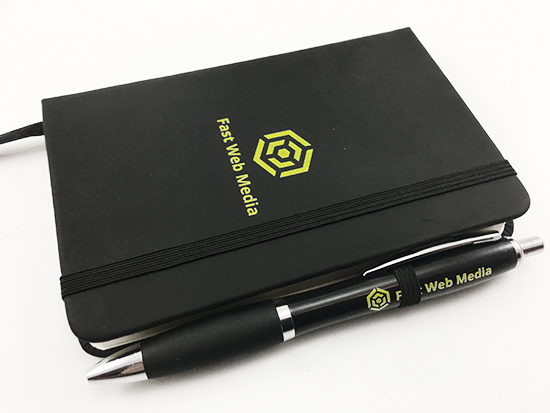 Promotional Small Noir Notebooks, Supplied by Fylde Promotional Merchandise. 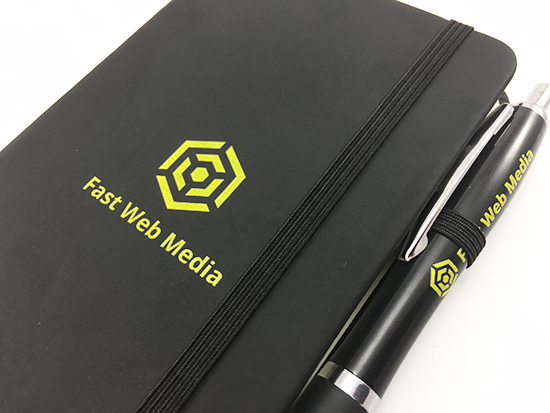 Branded Small Noir Notebook, Printed and Delivered for Fast Web Media Ltd.
We'll Ensure the Information we Place on Your Promotional Noir Notebooks is the Perfect Match for Your Brand. 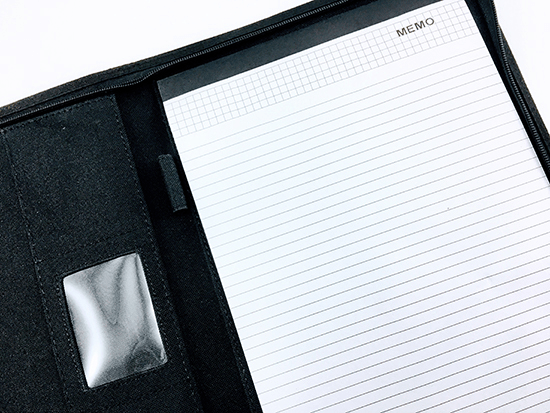 Ordering your Promotional Noir Notebook is Fast and Simple. 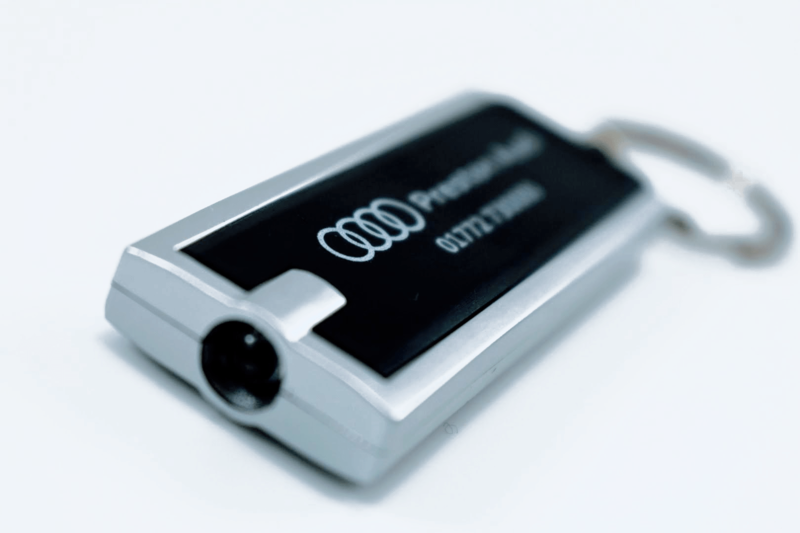 Make a Start by Contacting us Now or Call us on 0330 043 18 08. 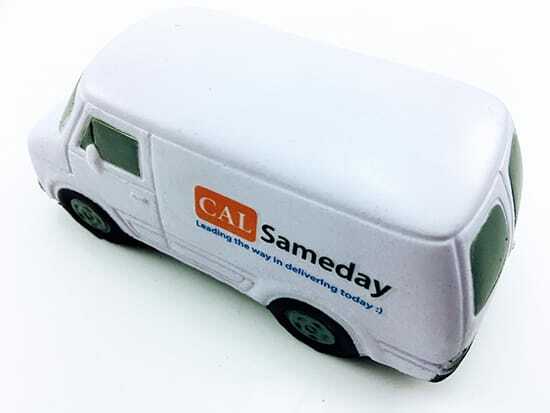 Promotional Stress Transit Vans, Supplied by Fylde Promotional Merchandise. 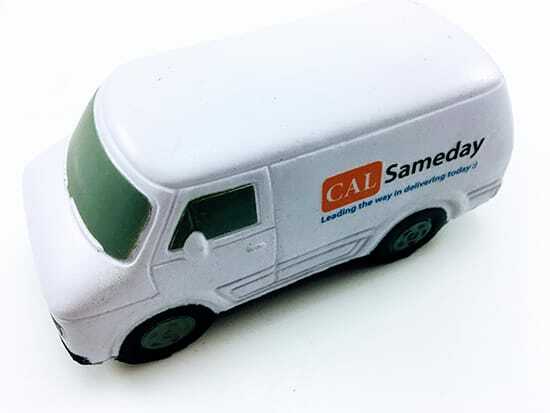 Branded Stress Transit Vans Printed and Delivered for CAL Sameday. 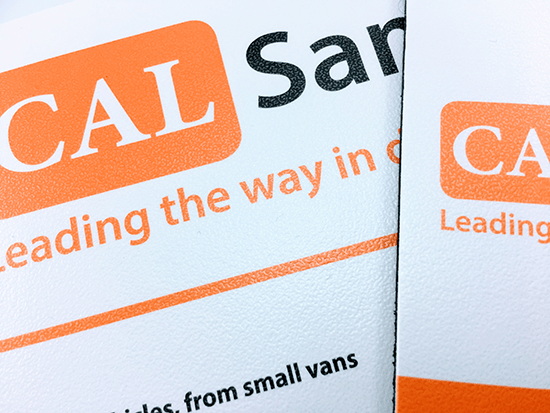 We'll Ensure the Information we Place on Your Promotional Stress Transit Vans is the Perfect Match for Your Brand. 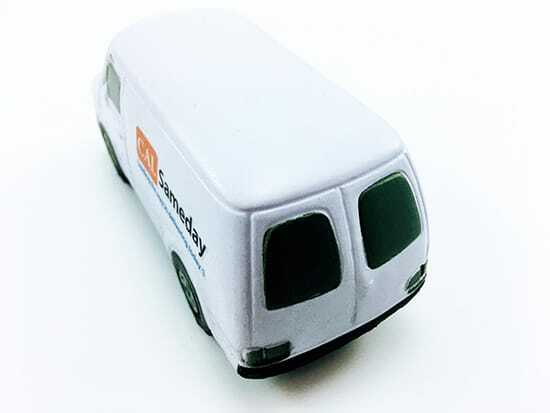 Ordering your Promotional Stress Transit Vans is Fast and Simple. Make a Start by Contacting us Now or Call us on 0330 043 18 08. 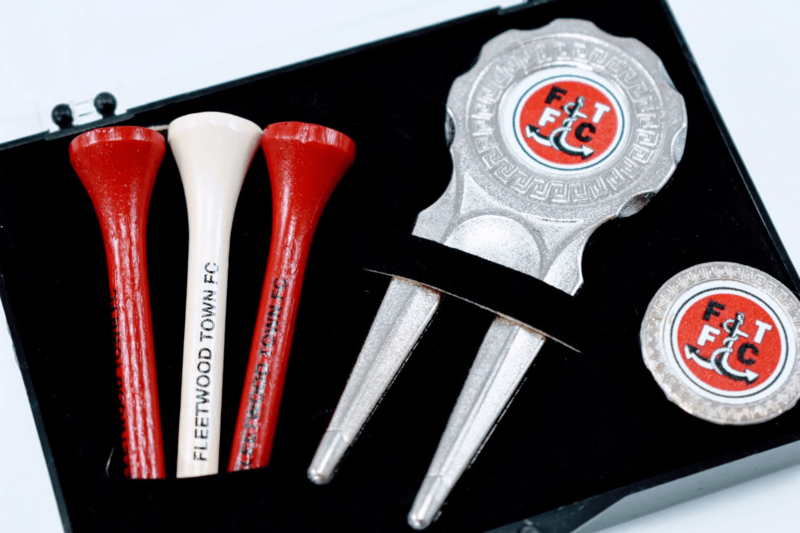 Promotional Shoe Shine Kit Supplied by Fylde Promotional Merchandise. 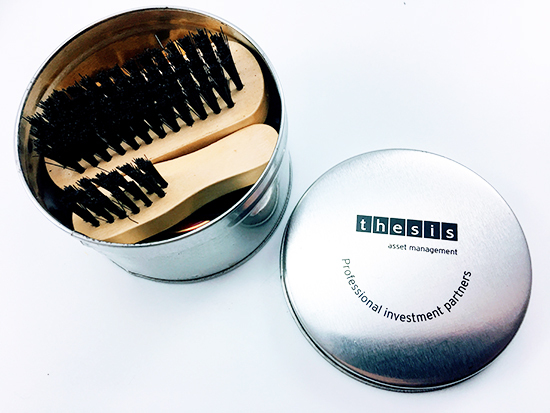 Branded Shoe Shine Kits Printed and Delivered for Thesis Asset Management. 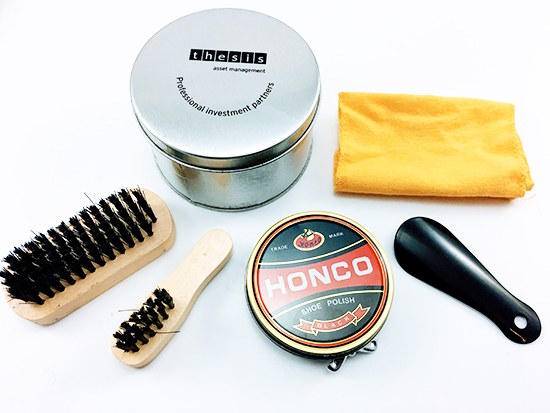 We'll Ensure the Information we Place on Your Promotional Shoe Shine Kits is the Perfect Match for Your Brand. 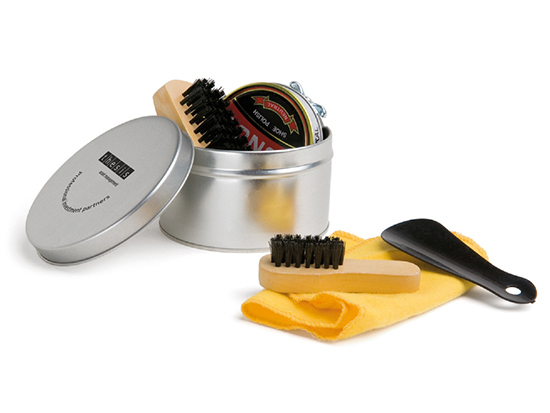 Ordering your Promotional Shoe Shine Kits is Fast and Simple. Make a Start by Contacting us Now or Call us on 0330 043 18 08. 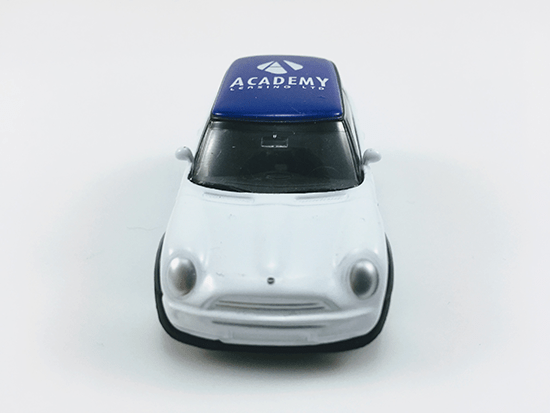 Promotional Model Mini Cooper Vehicles, Supplied by Fylde Promotional Merchandise. 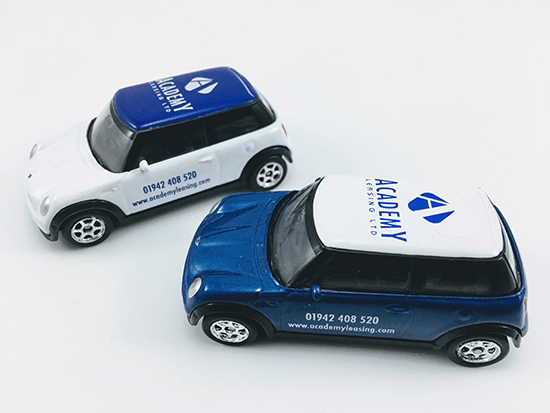 Branded Model Mini Cooper Vehicles Printed and Delivered for Academy Leasing. 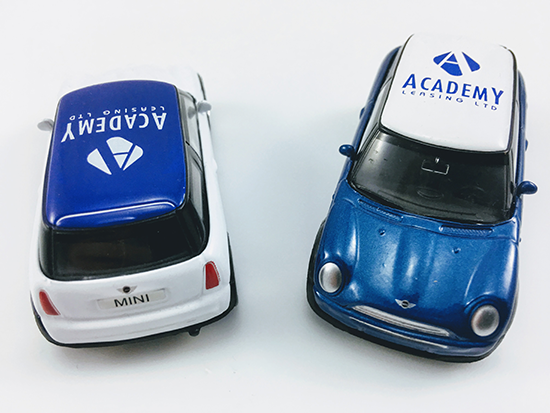 We'll Ensure the Information we Place on Your Promotional Mini Vehicles is the Perfect Match for Your Brand. 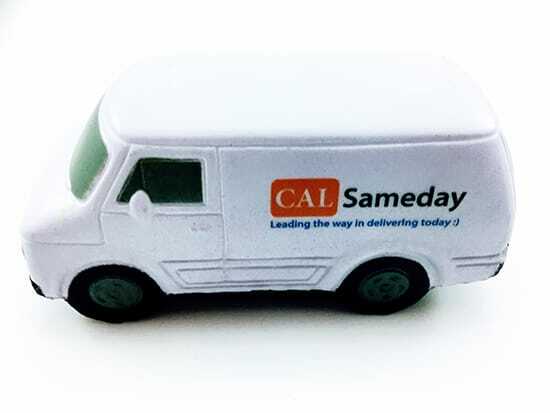 Ordering your Promotional Mini Vehicles is Fast and Simple. Make a Start by Contacting us Now or Call us on 0330 043 18 08. 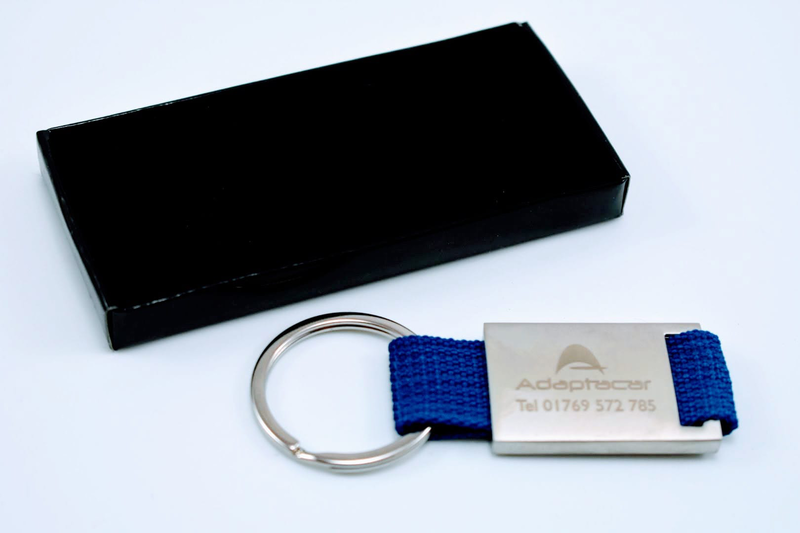 Promotional Wave Sharpener and Eraser, Supplied by Fylde Promotional Merchandise. 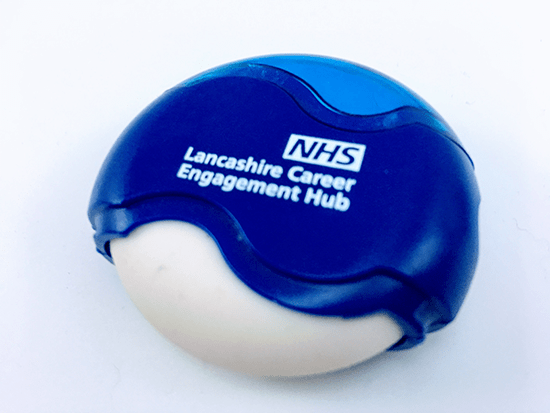 Branded Wave Sharpener and Eraser Printed and Delivered for NHS Lancashire Career Engagement Hub. 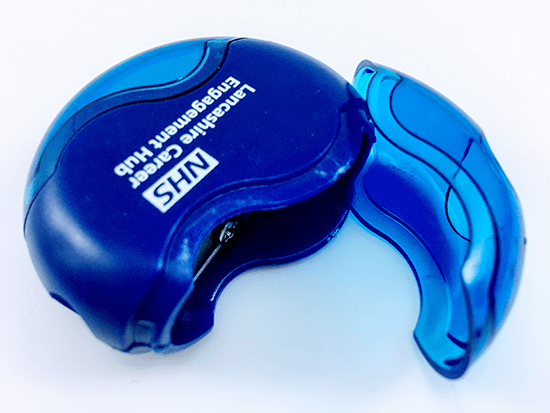 We'll Ensure the Information we Place on Your Promotional Sharpener and Eraser is the Perfect Match for Your Brand. 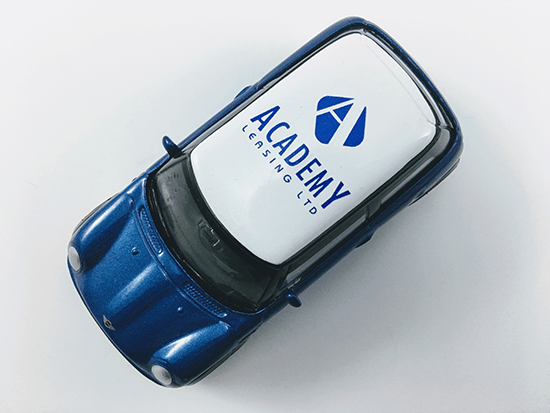 Ordering your Promotional Sharpener and Eraser is Fast and Simple. Make a Start by Contacting us Now or Call us on 0330 043 18 08. 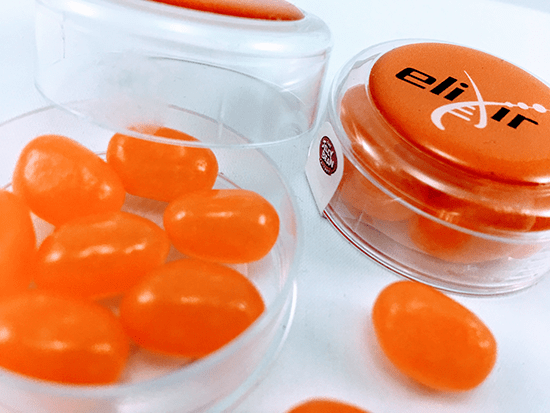 Promotional Mini Round Gourmet Jelly Beans, Supplied by Fylde Promotional Merchandise. 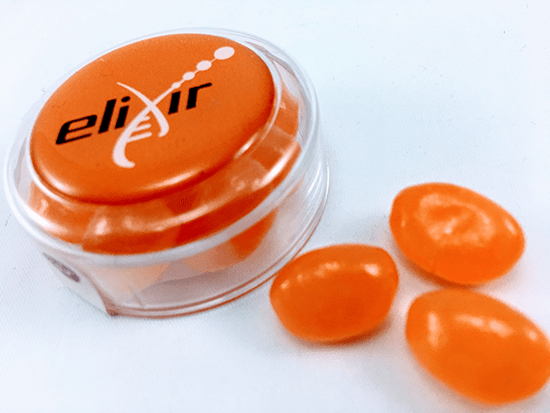 Branded Mini Round Gourmet Jelly Beans, Printed and Delivered for Elixir Europe. 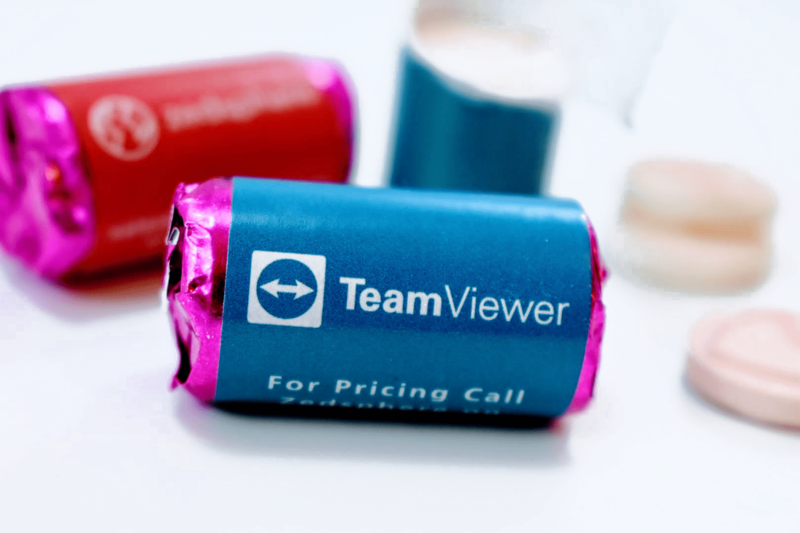 We'll Ensure the Information We Place on Your Promotional Confectionery is the Perfect Match for Your Brand. 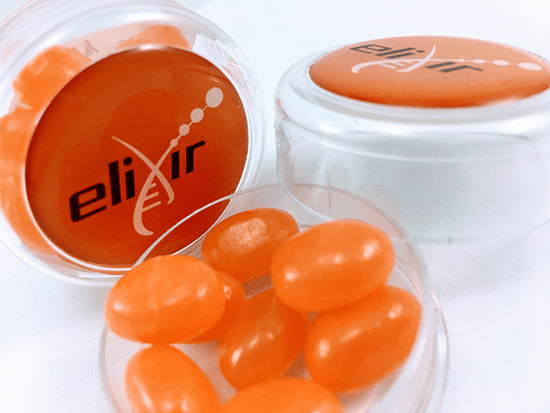 Ordering your Promotional Jelly Beans is Fast and Simple. Make a Start by Contacting us Now or Call us on 0330 043 18 08. 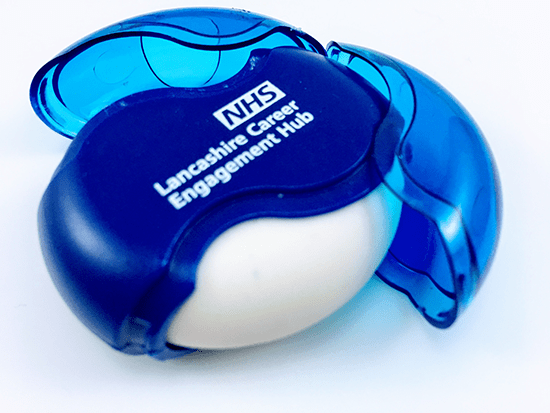 Promotional Keychain CPR Masks, Supplied by Fylde Promotional Merchandise. 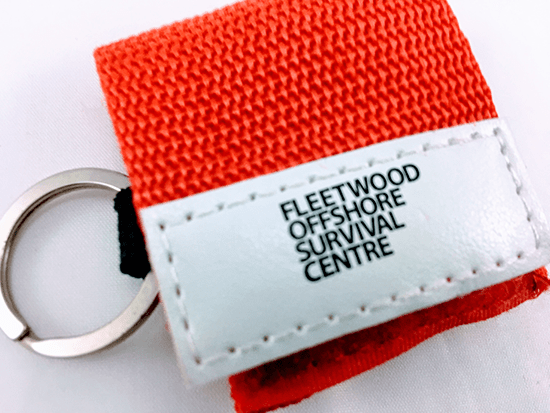 Branded Keychain CPR Masks, Printed and Delivered Fleetwood Offshore Survival Centre. 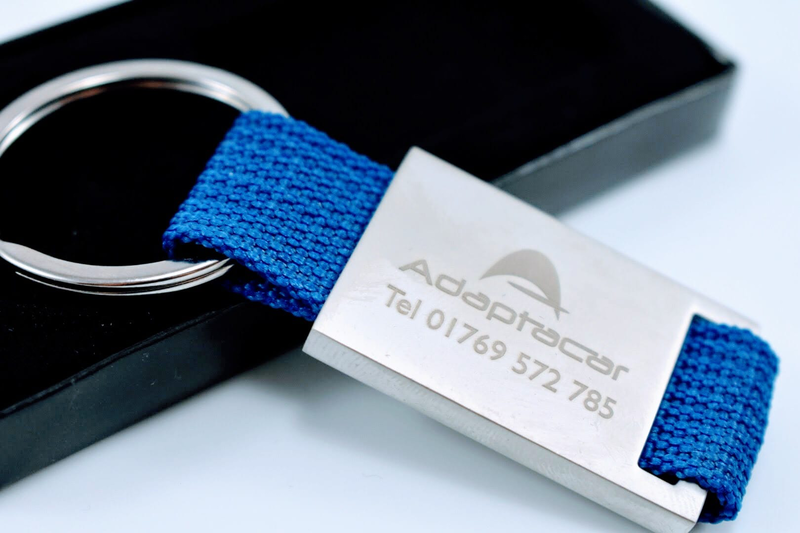 We'll Ensure the Information We Place on Your Promotional CPR Keyrings is the Perfect Match for Your Brand. 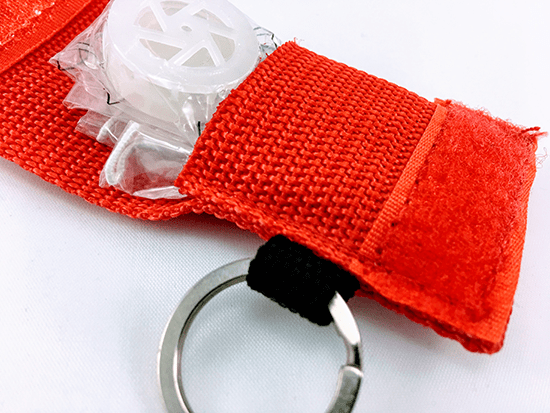 Ordering your Promotional Keychain CPR Mask is Fast and Simple. 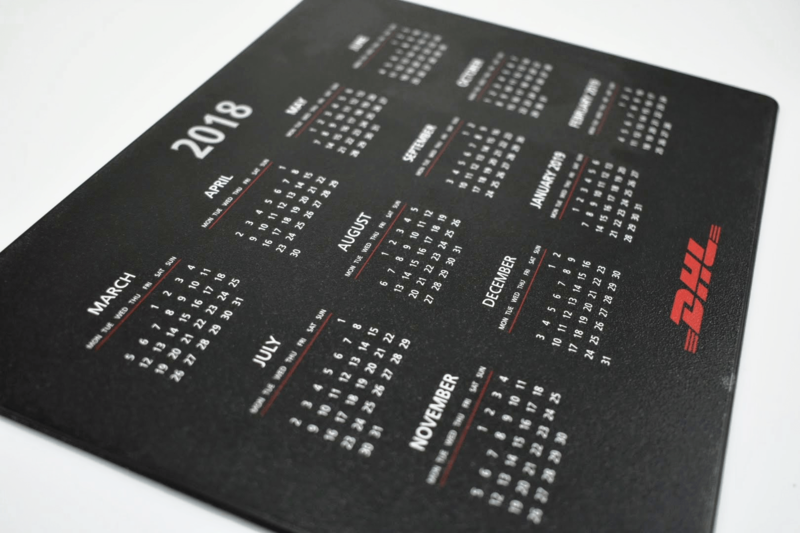 Make a Start by Contacting us Now or Call us on 0330 043 18 08. 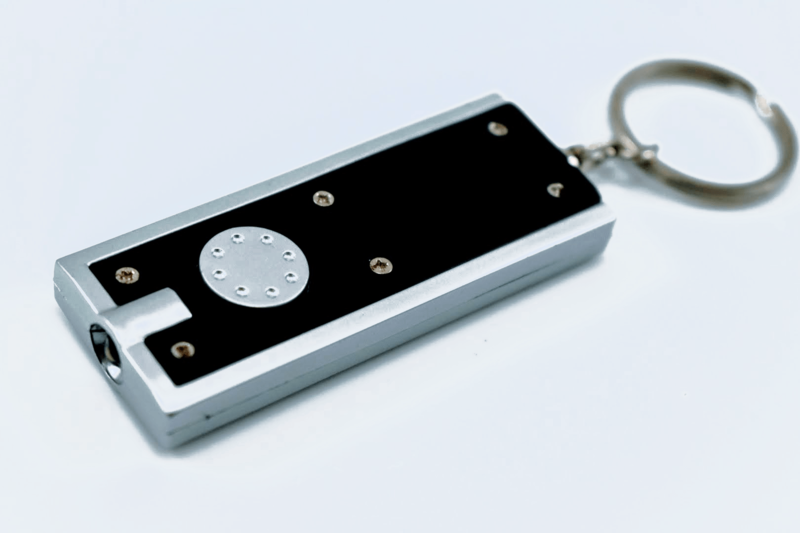 Promotional Keychain Belluno PU Business Card Case, Supplied by Fylde Promotional Merchandise. 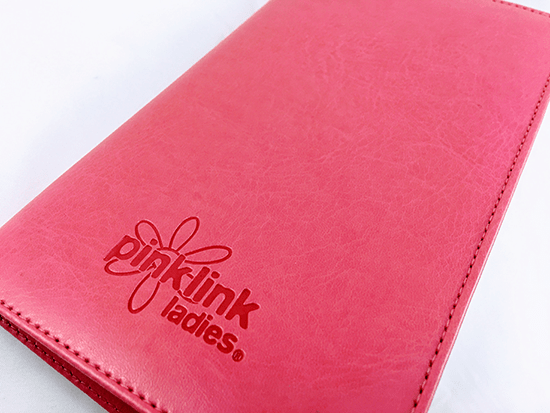 Branded Belluno PU Business Card Case, Printed and Delivered Pink Link Ladies. 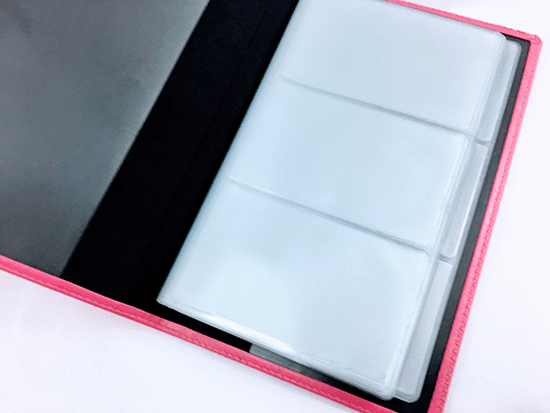 We'll Ensure the Information We Place on Your Promotional Business Card Cases is the Perfect Match for Your Brand. 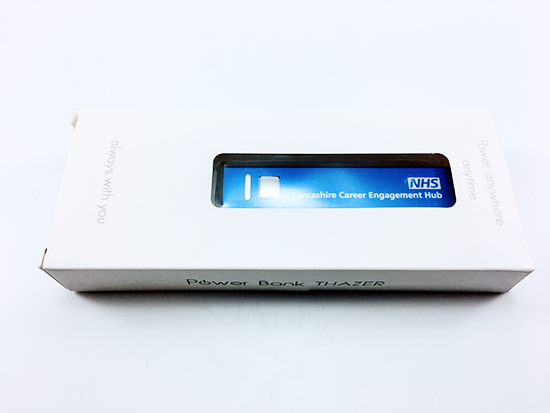 Ordering your Promotional Belluno PU Business Card Cases is Fast and Simple. Make a Start by Contacting us Now or Call us on 0330 043 18 08. 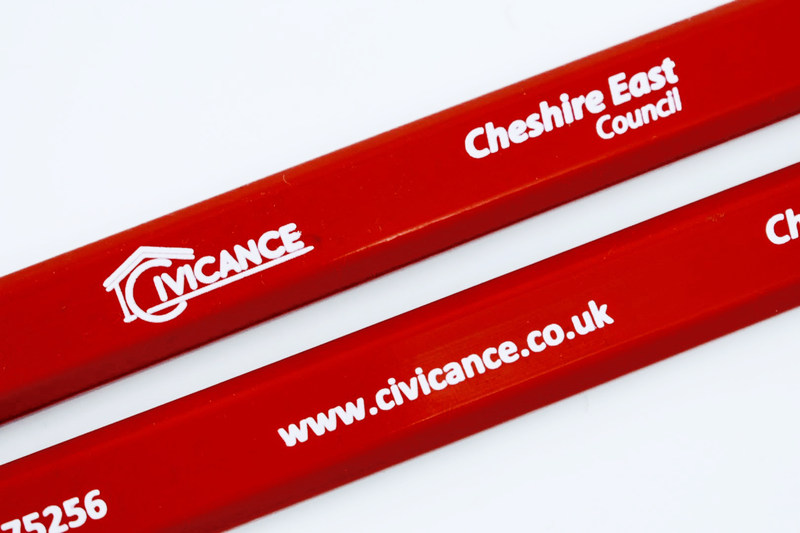 Promotional Twister USB's, Supplied by Fylde Promotional Merchandise. 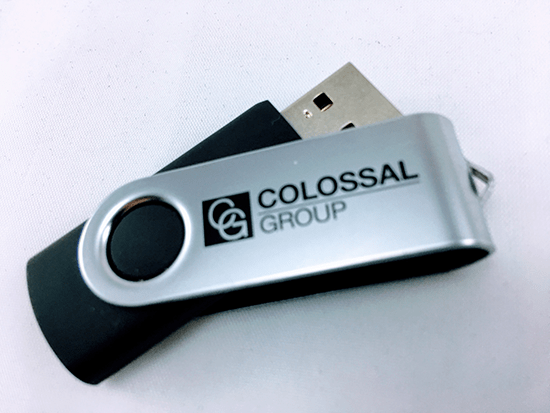 Branded Twister USB's, Printed and Delivered for Colossal Group. 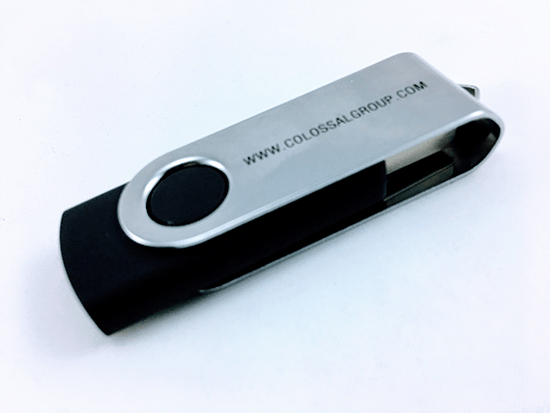 We'll Ensure the Information We Place on Your Promotional Twister USB's is the Perfect Match for Your Brand. 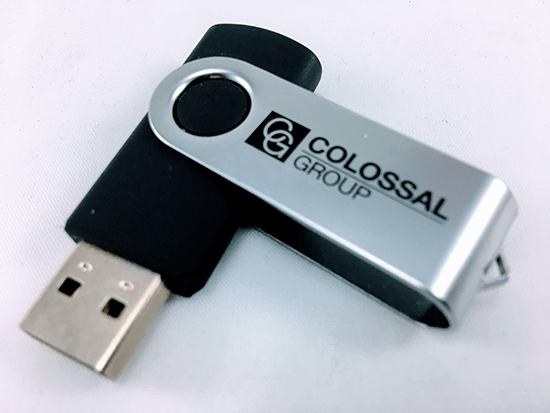 Ordering your Promotional Twister USB's is Fast and Simple. 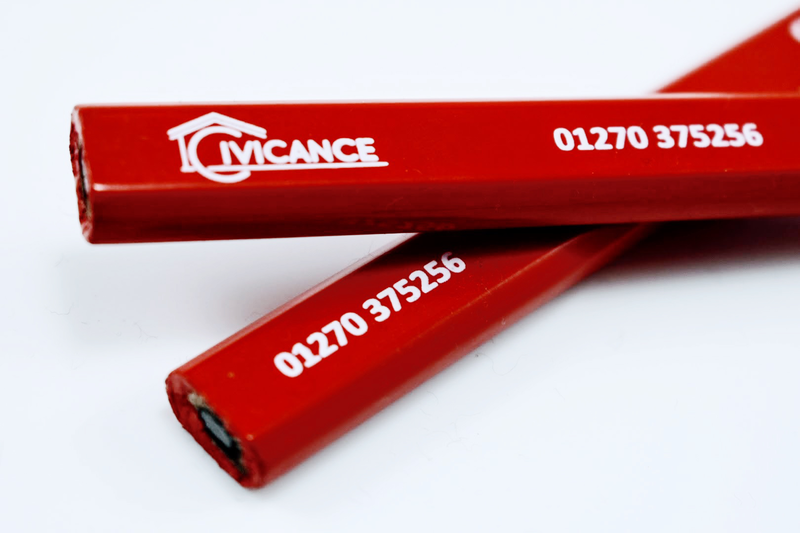 Make a Start by Contacting us Now or Call us on 0330 043 18 08.